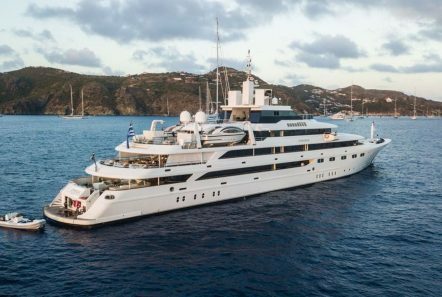 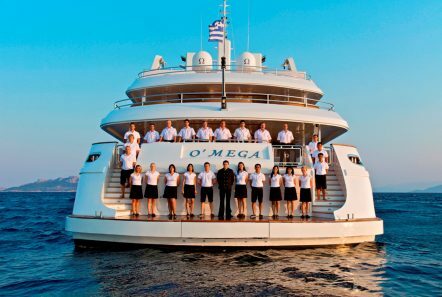 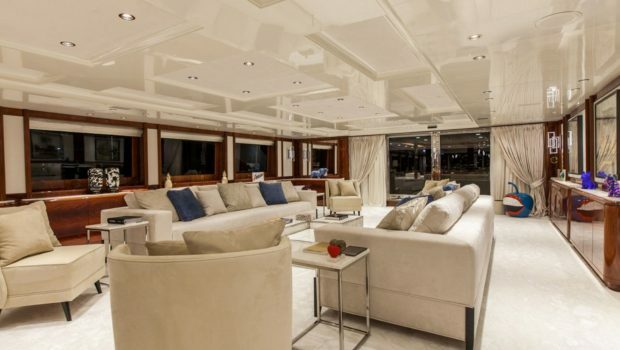 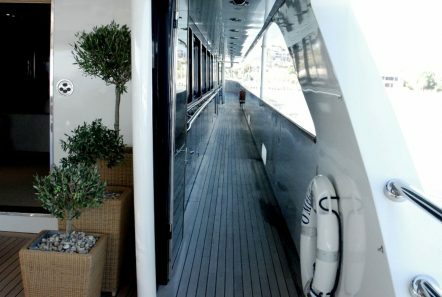 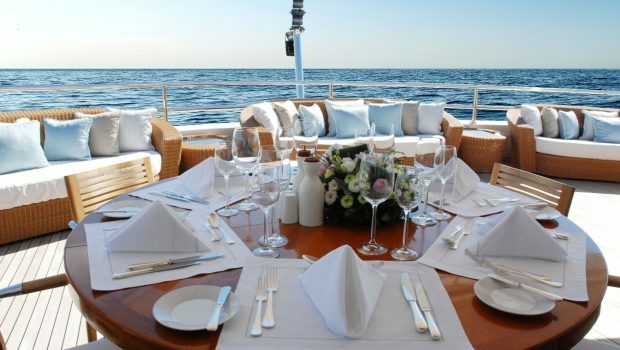 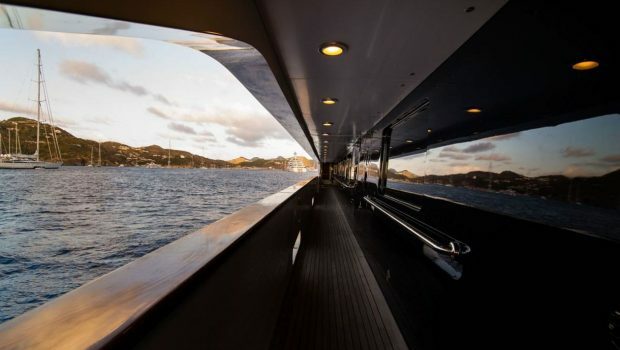 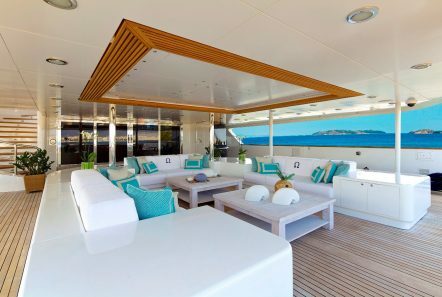 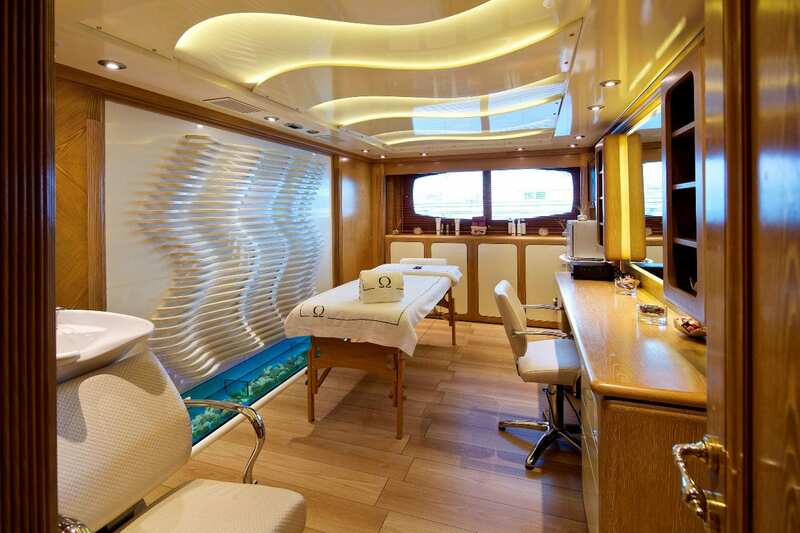 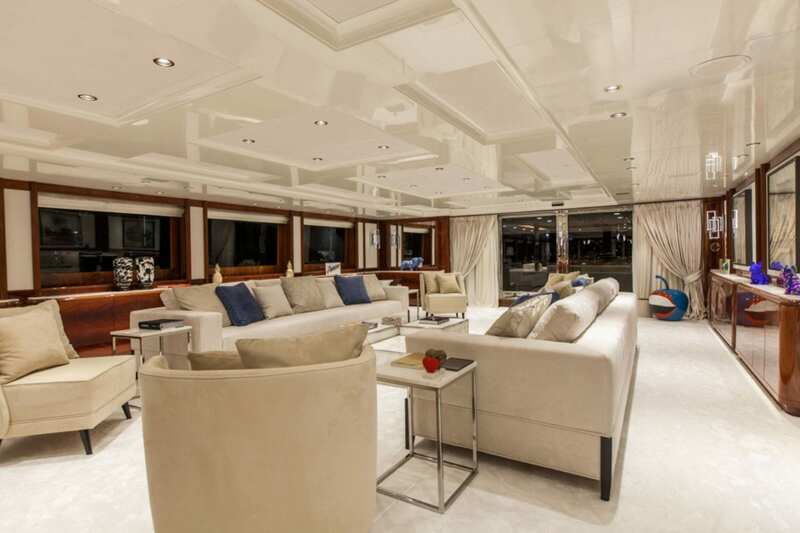 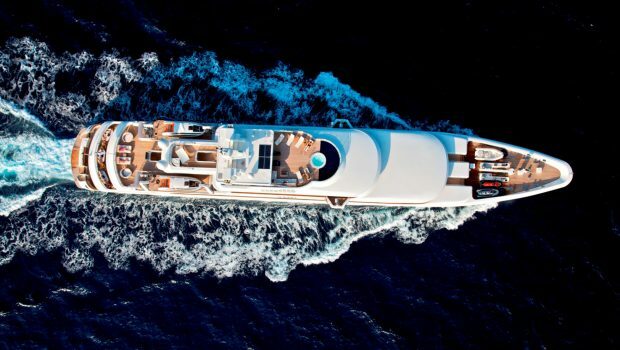 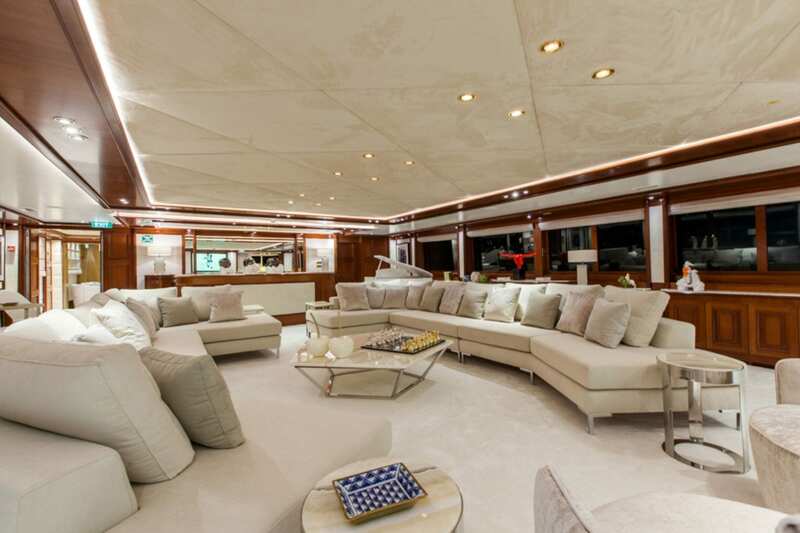 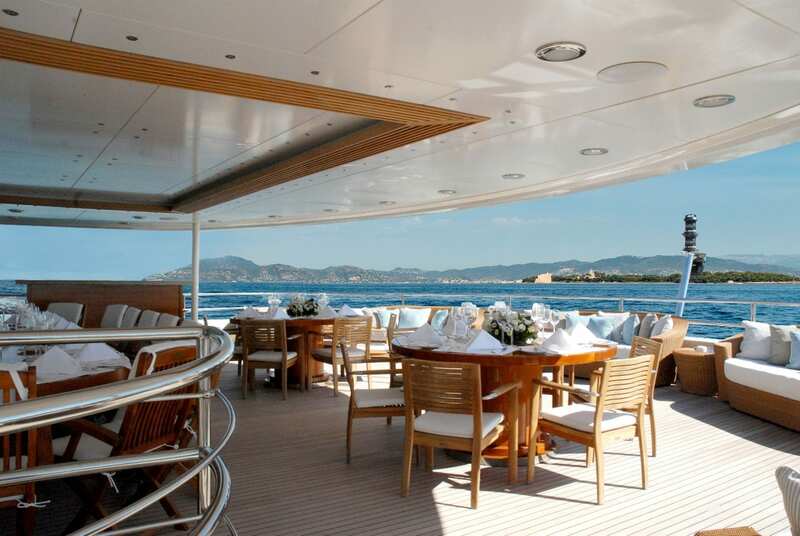 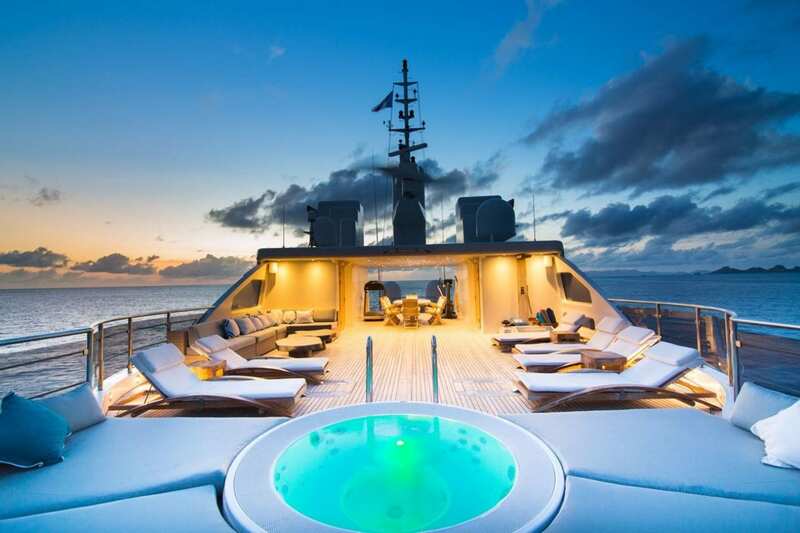 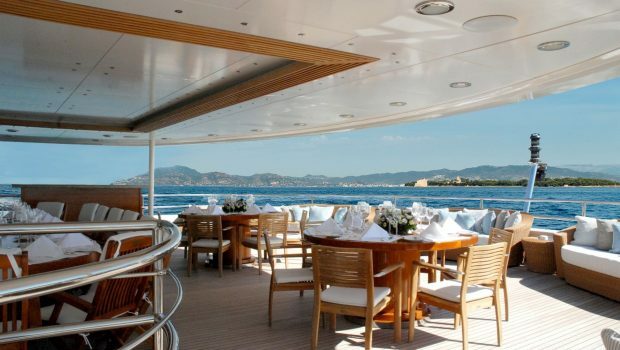 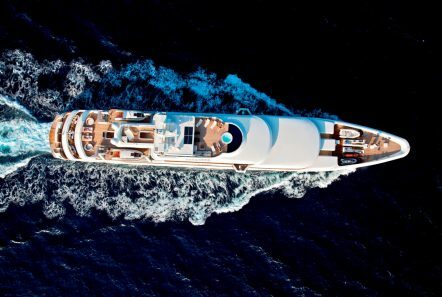 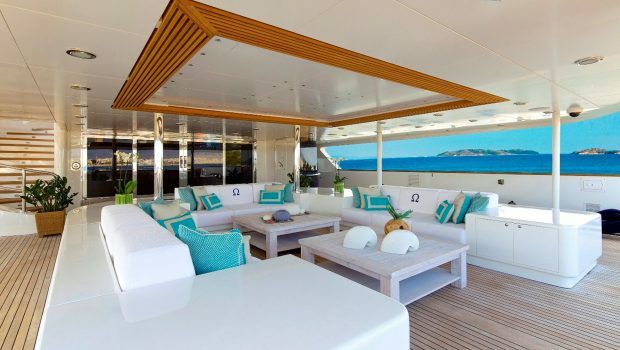 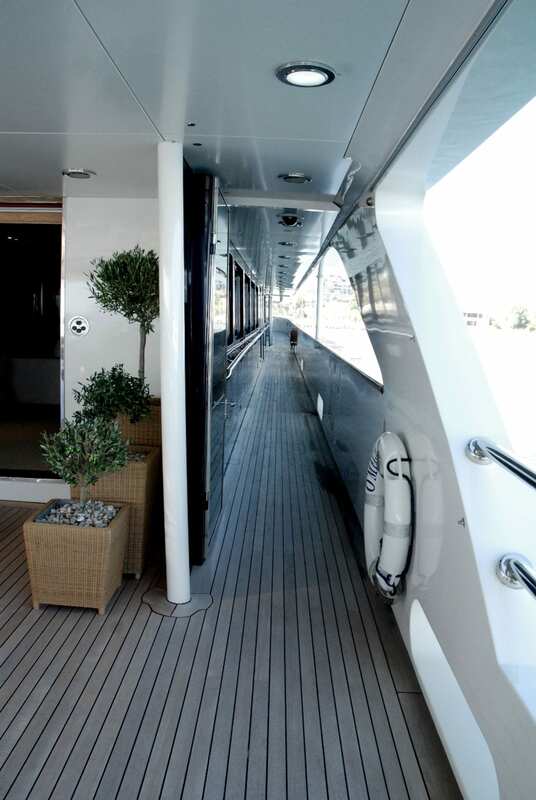 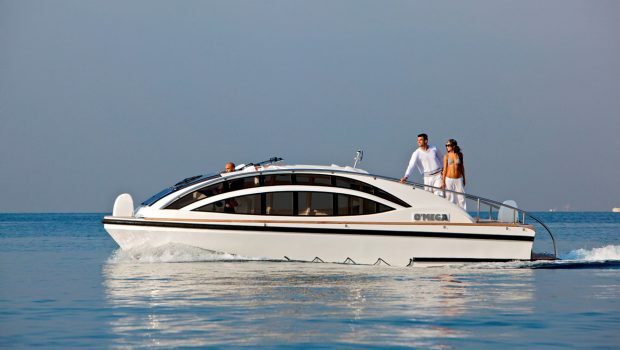 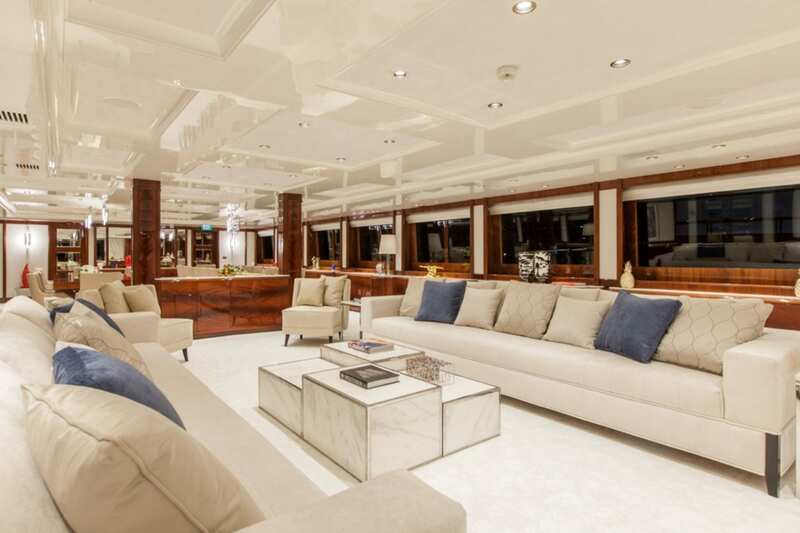 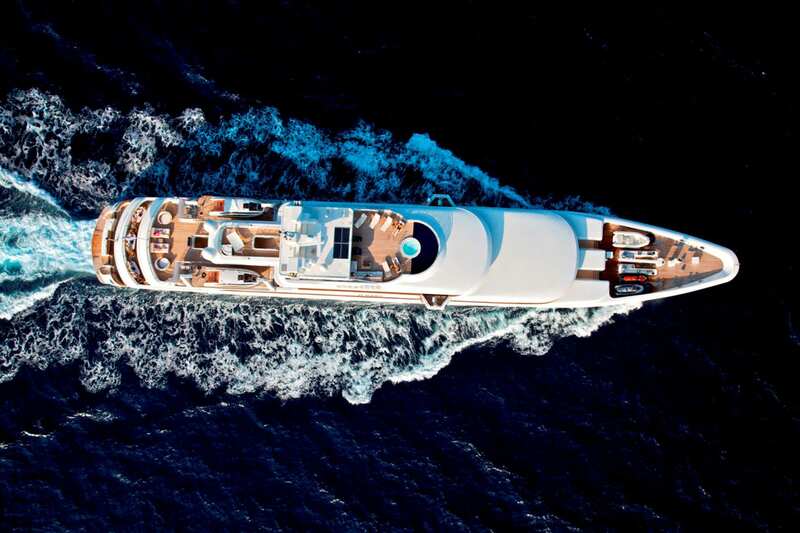 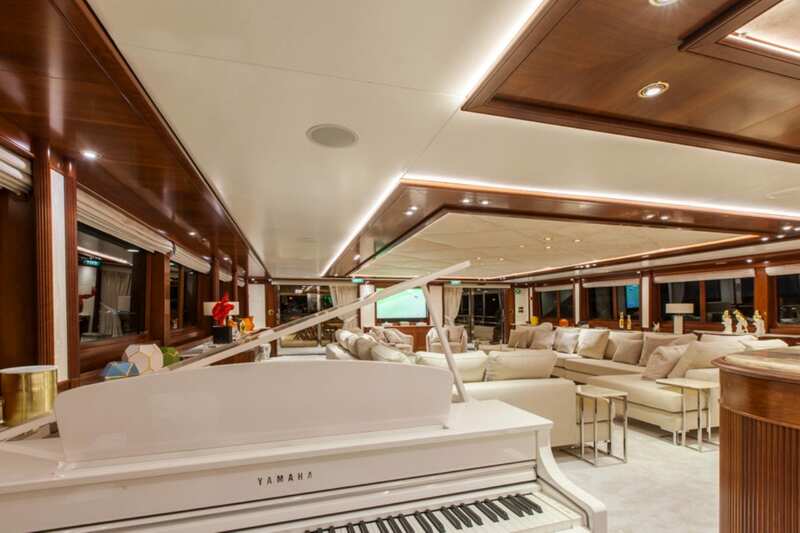 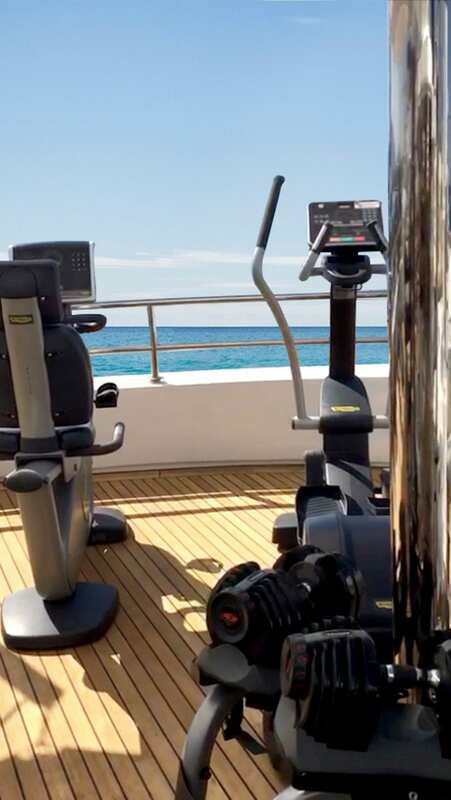 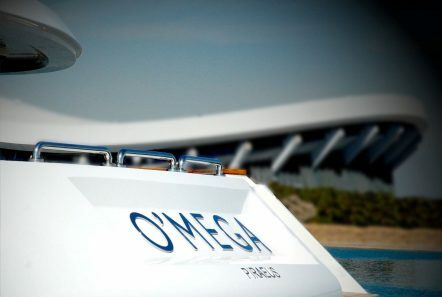 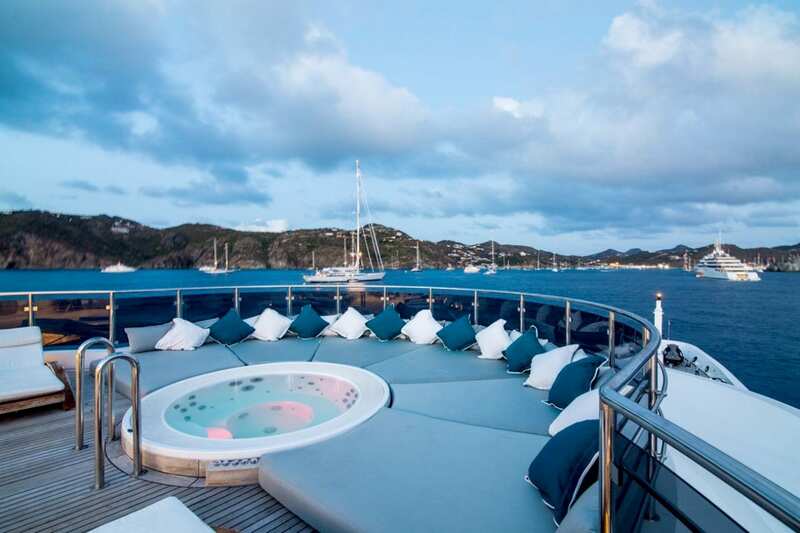 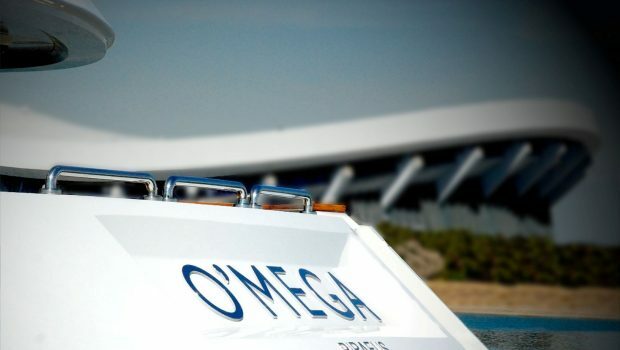 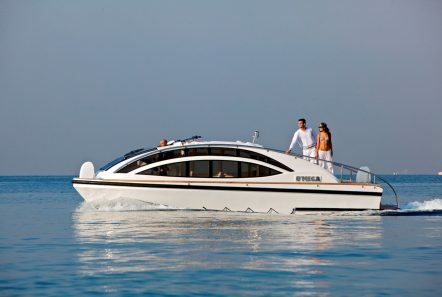 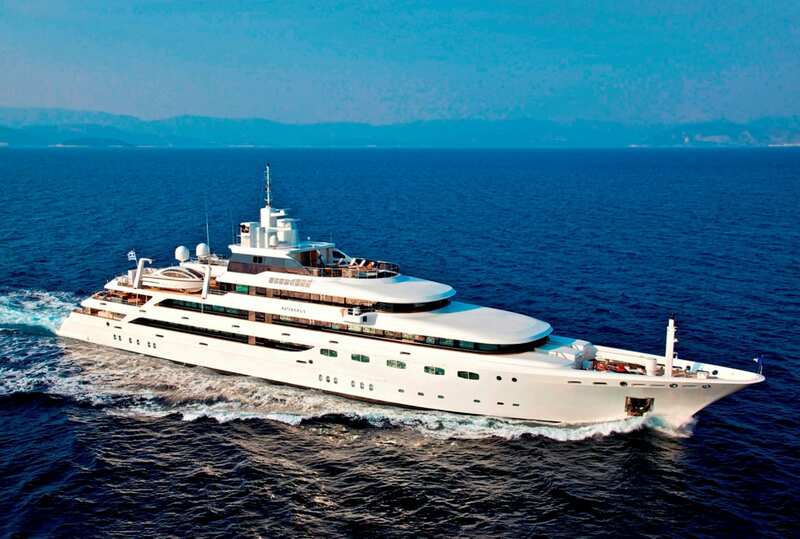 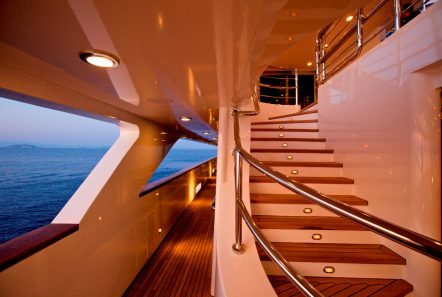 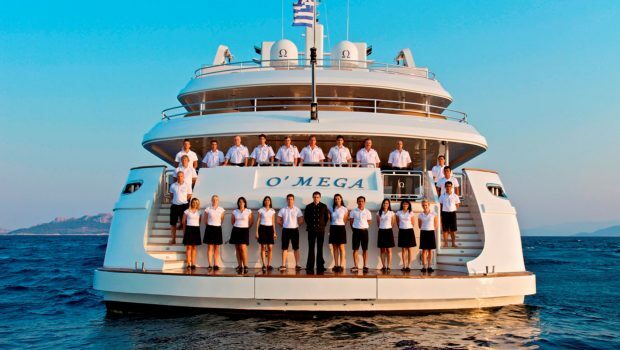 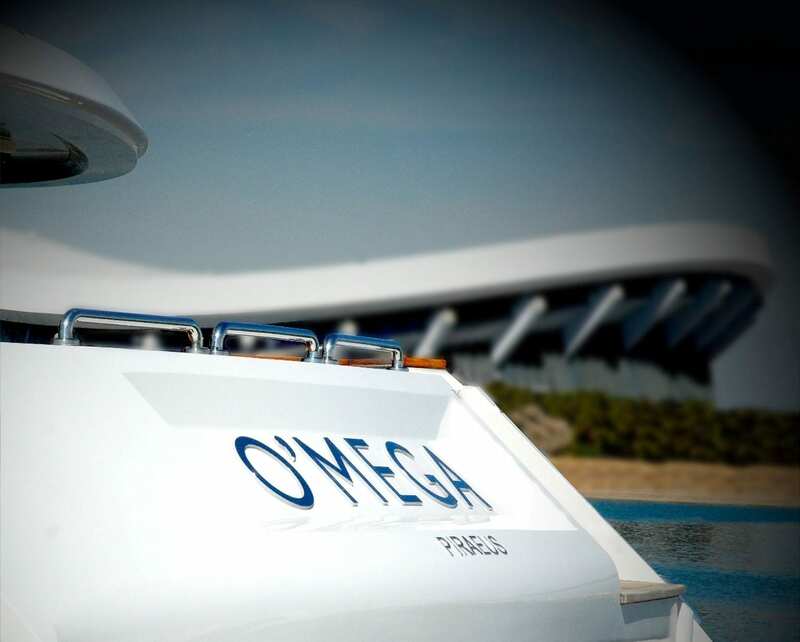 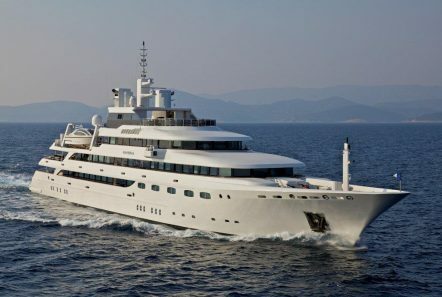 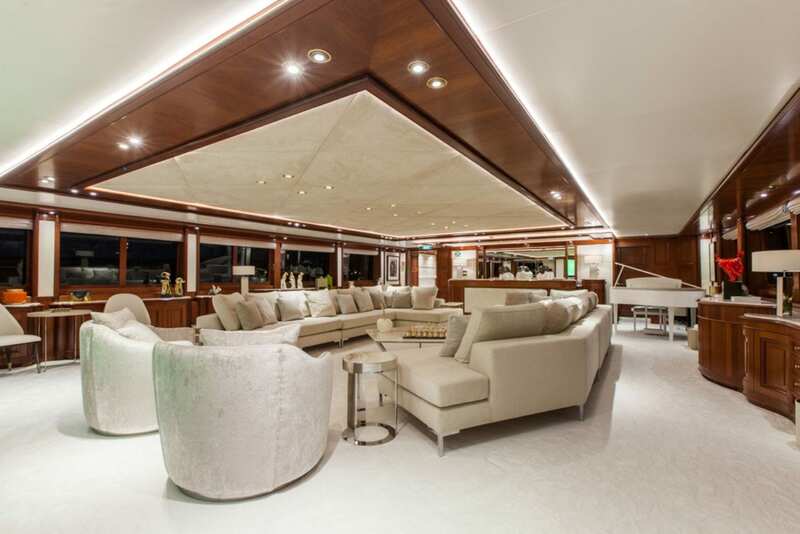 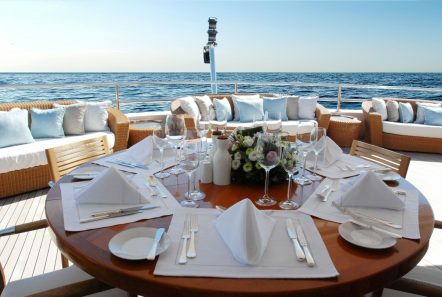 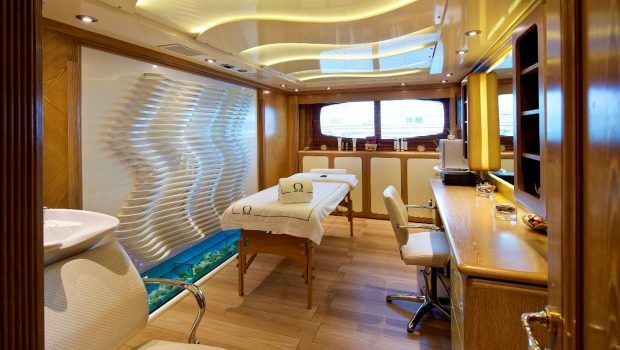 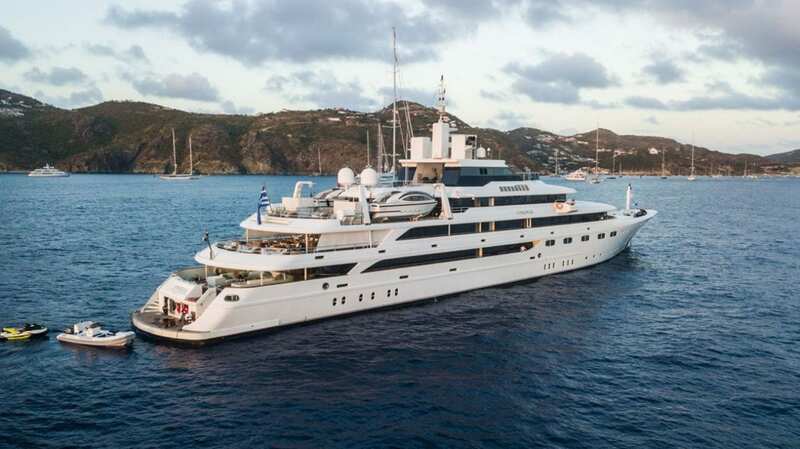 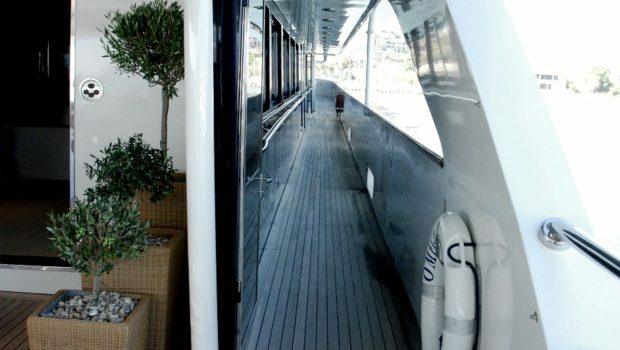 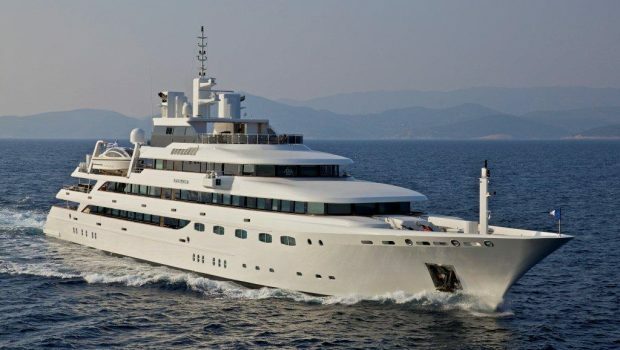 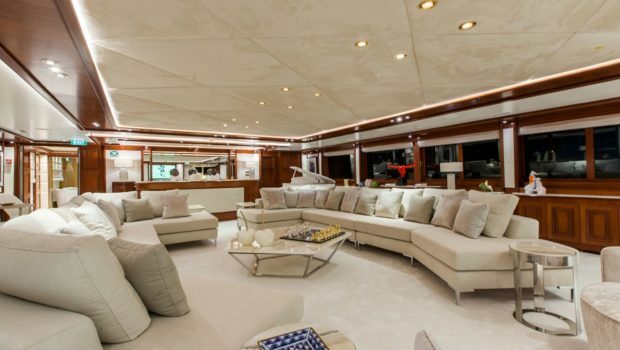 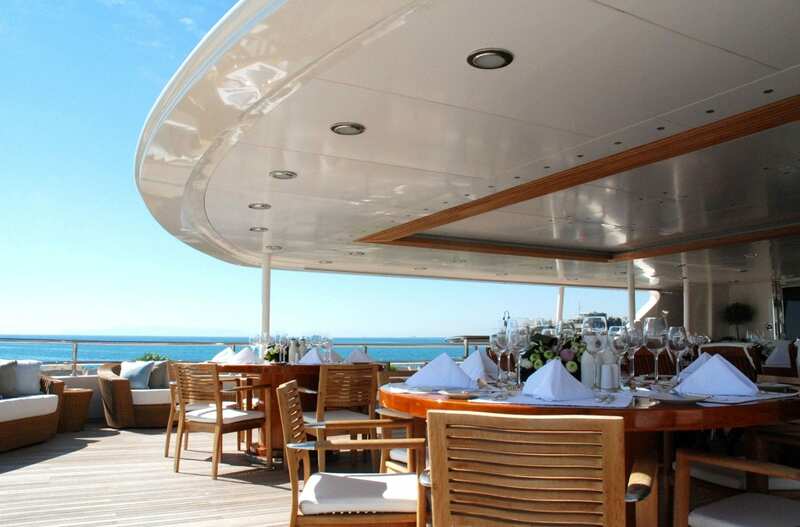 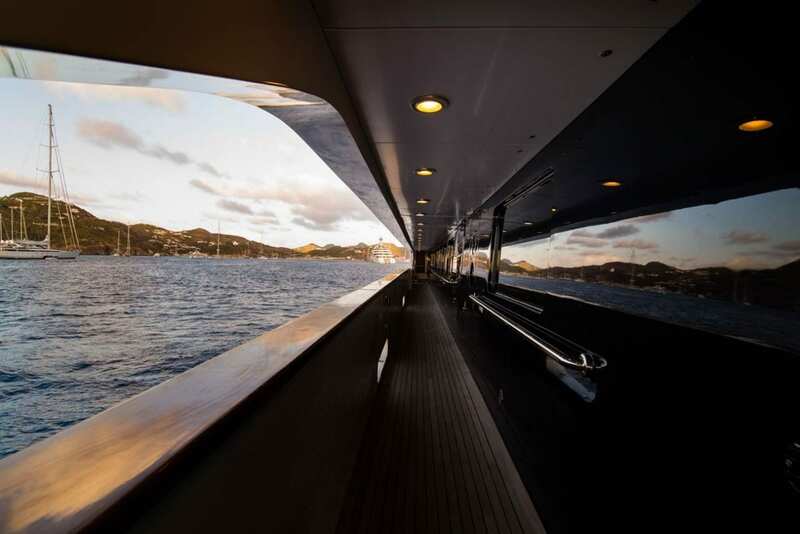 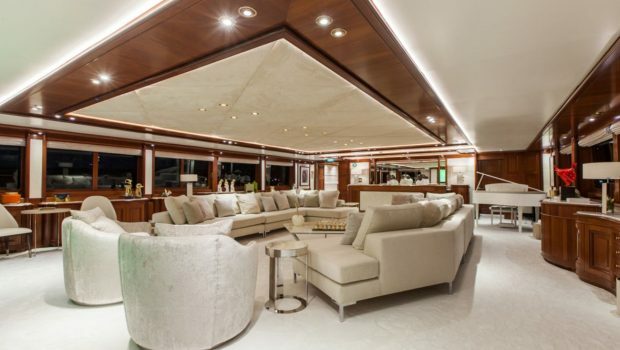 O’MEGA is a fabulous, extremely elegant and first class motor yacht of 269 feet. 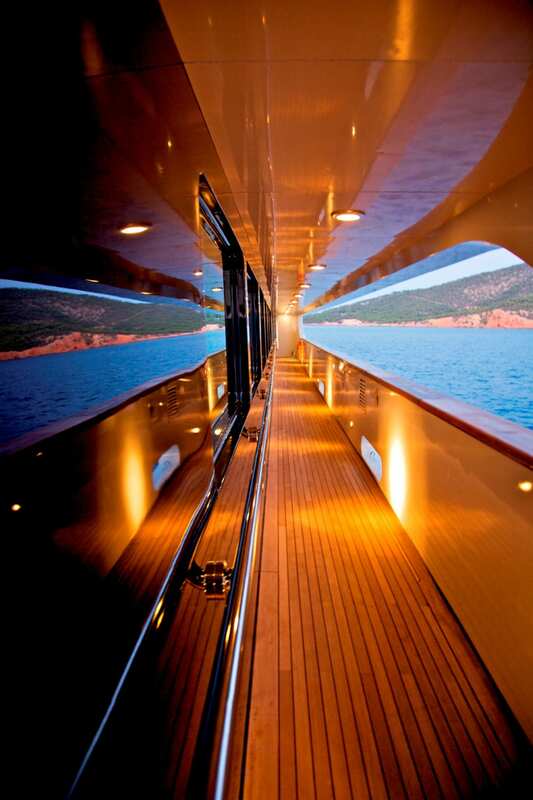 She is a spectacle to be seen! 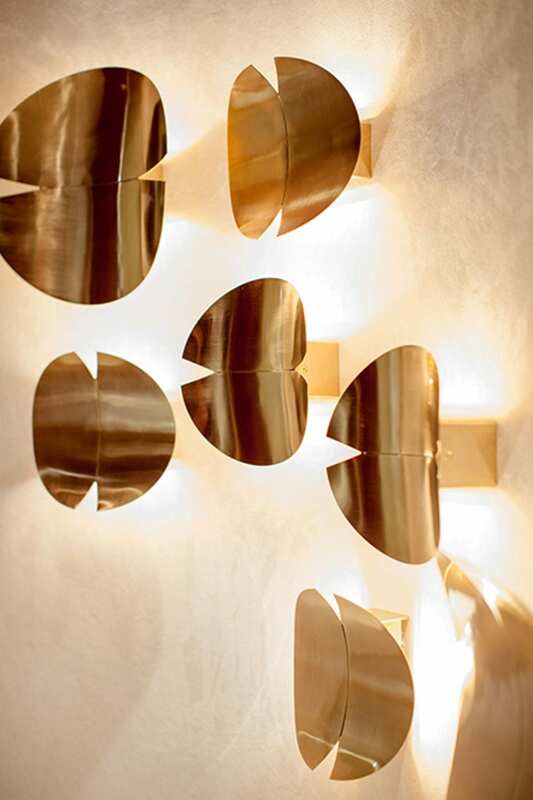 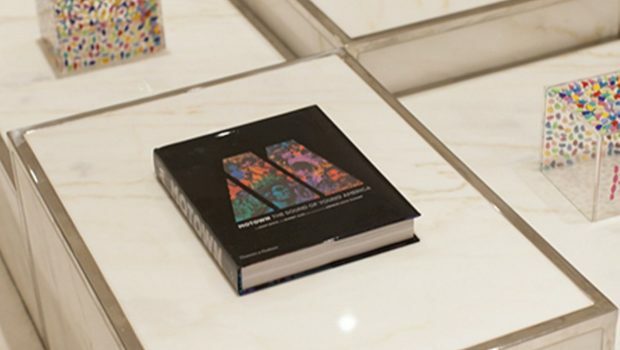 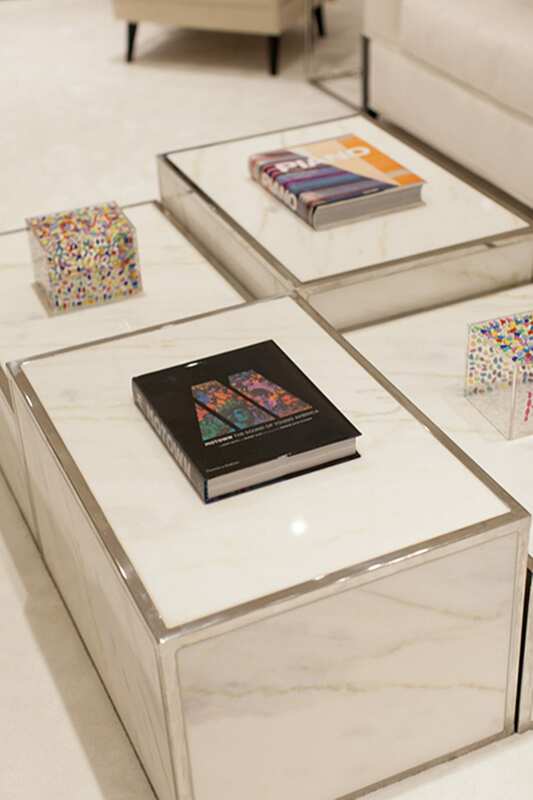 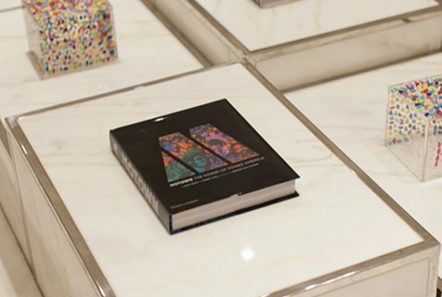 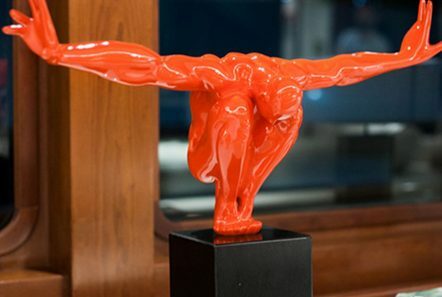 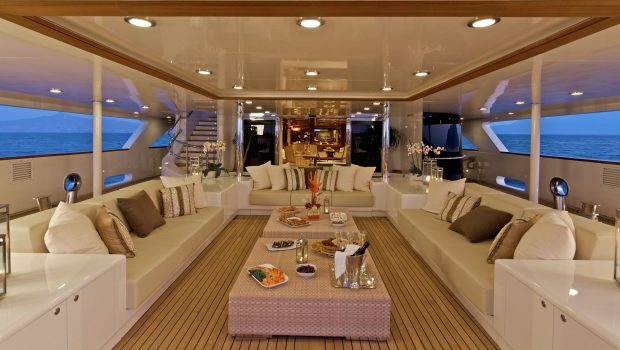 Her unmatched beauty and sheer elegance in style creates an ambiance of fantastic splendor. 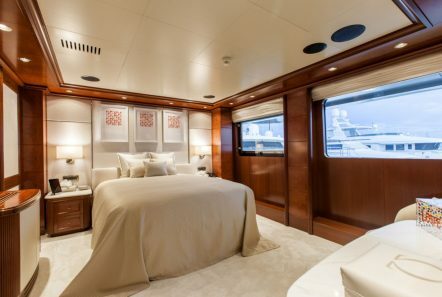 Constructed of Italy’s finest of woods, marble and lightly colored fabrics, she is sure to wow her guests in both comfort and style. 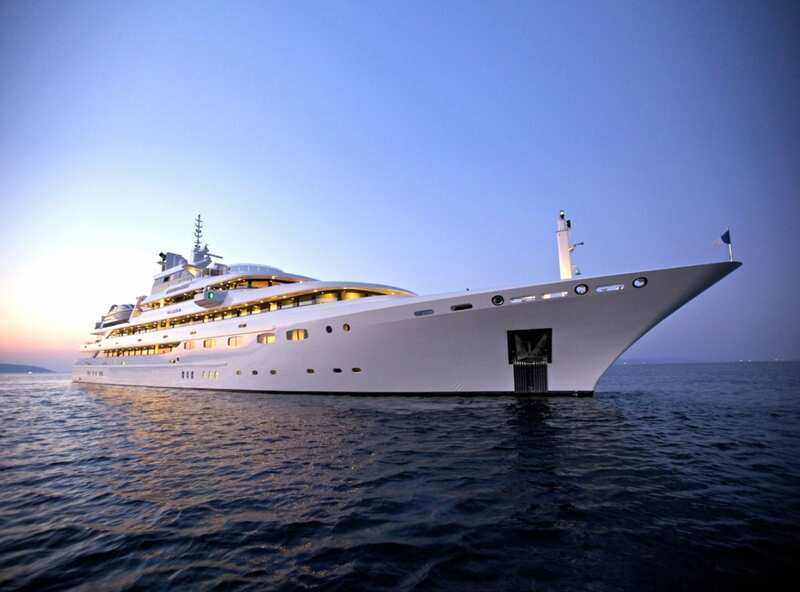 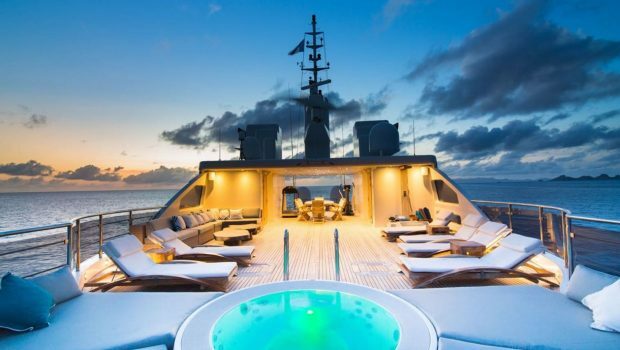 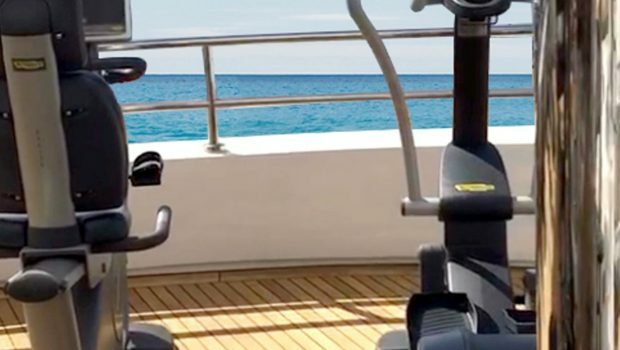 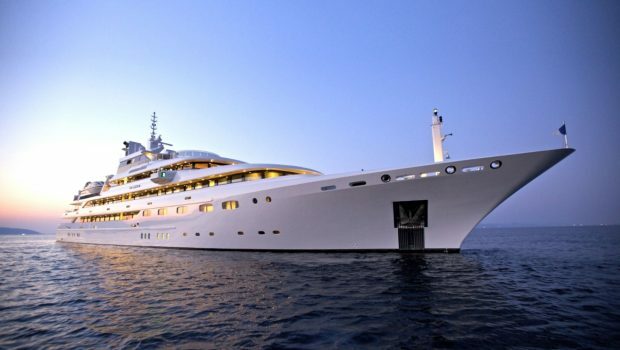 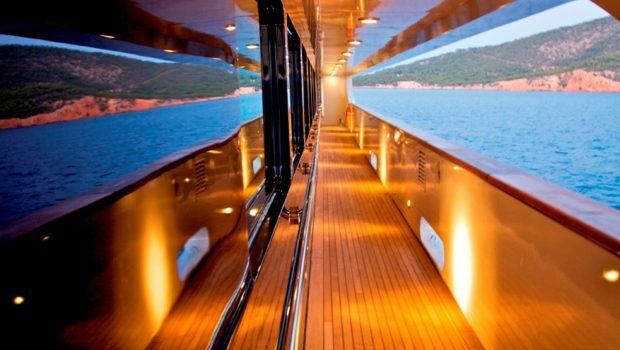 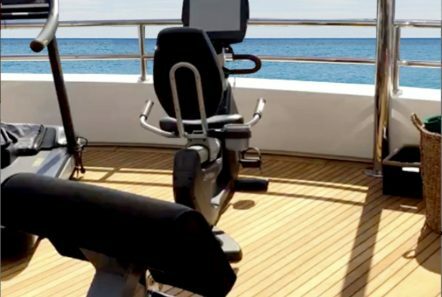 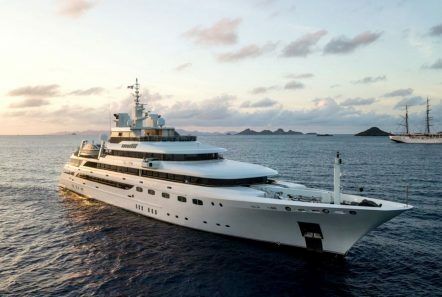 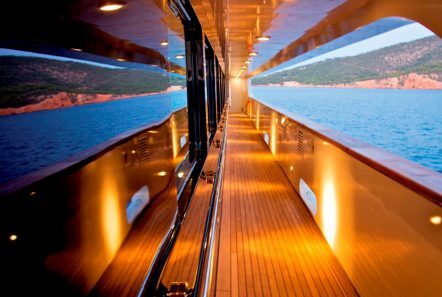 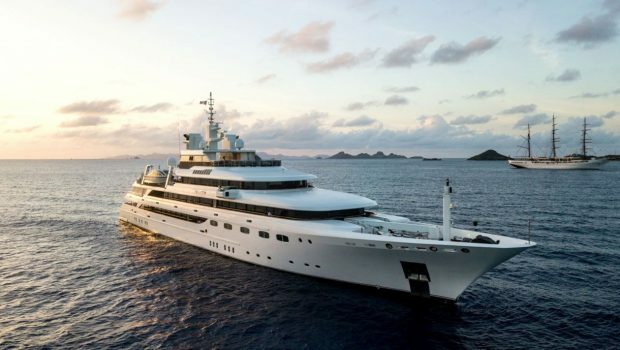 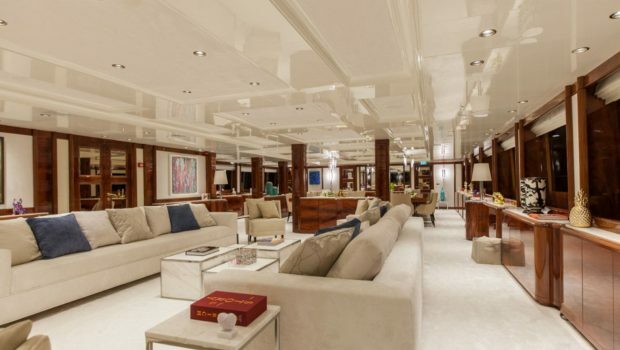 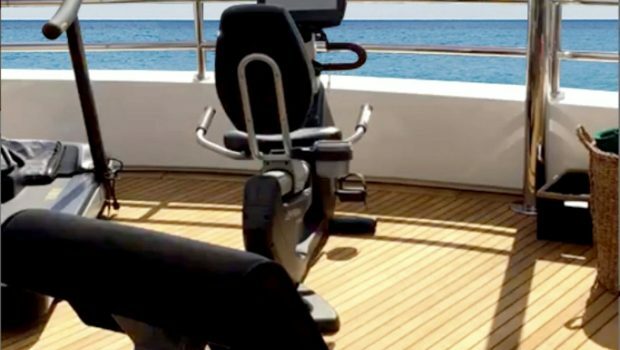 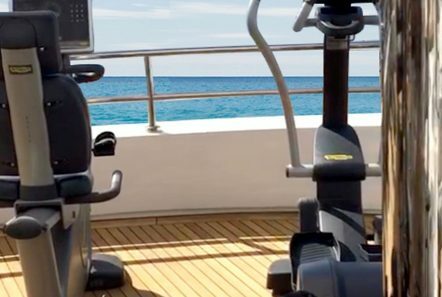 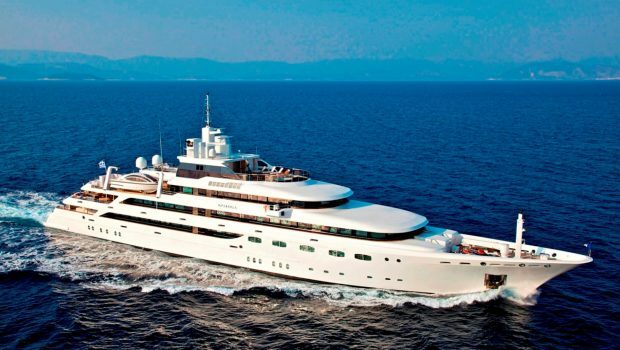 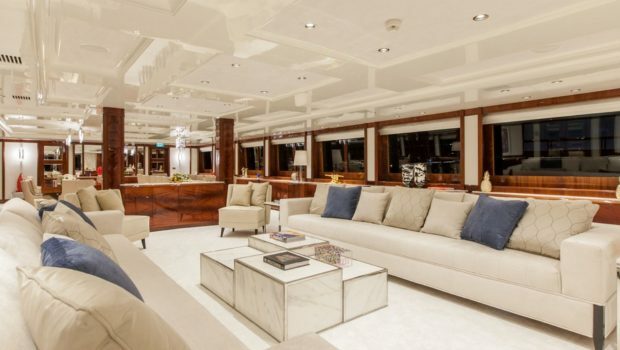 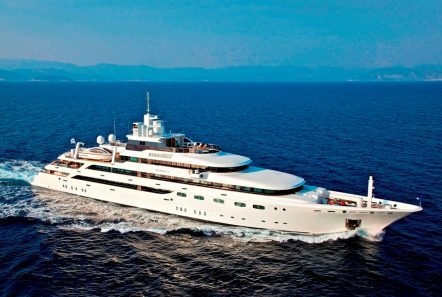 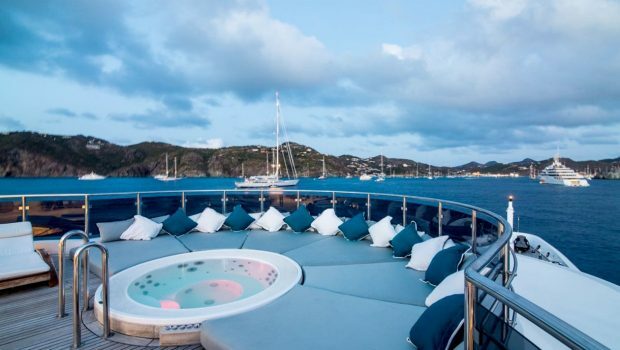 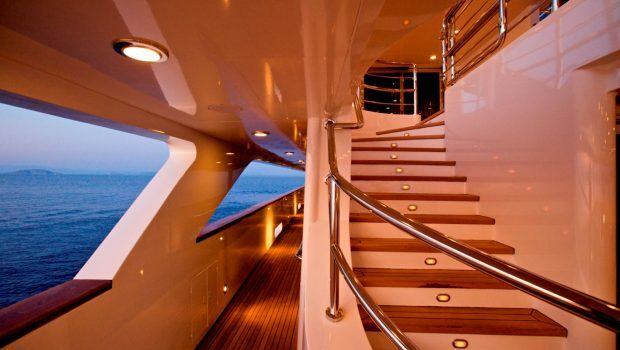 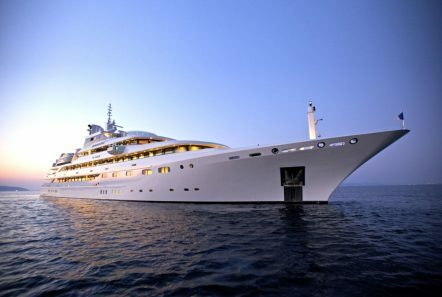 This mega yacht accommodates up to thirty passengers in sheer luxury. Her interior has mahogany paneling, built in furniture and is adorned with custom-made linens, carpets and handmade fabrics. 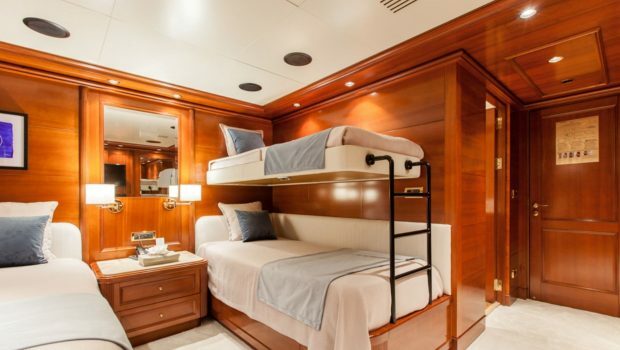 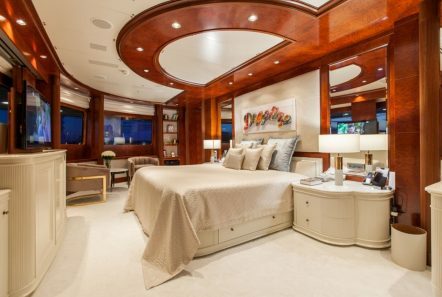 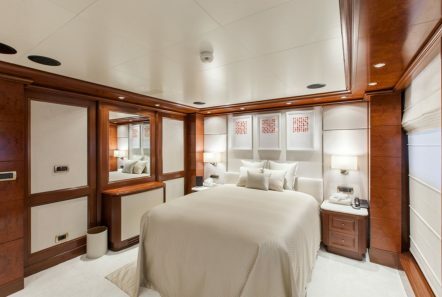 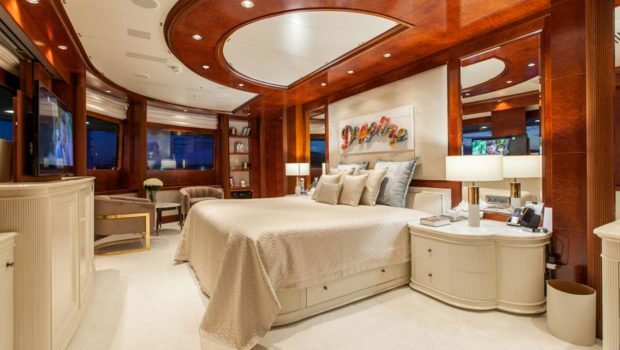 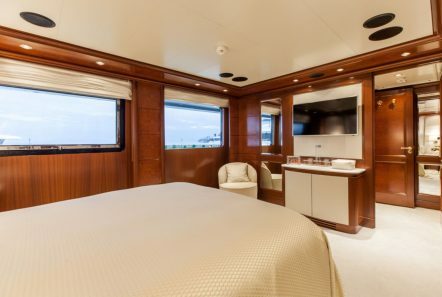 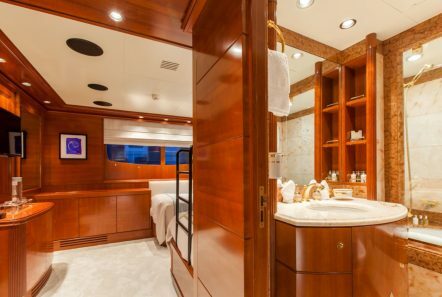 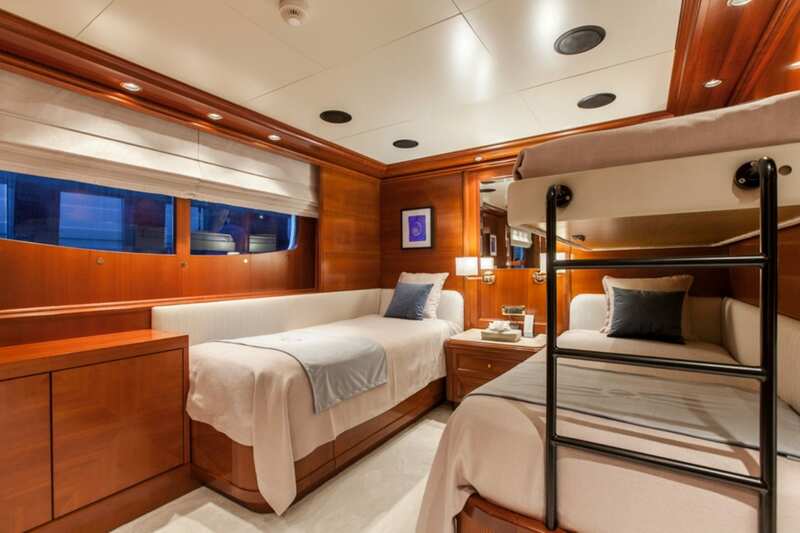 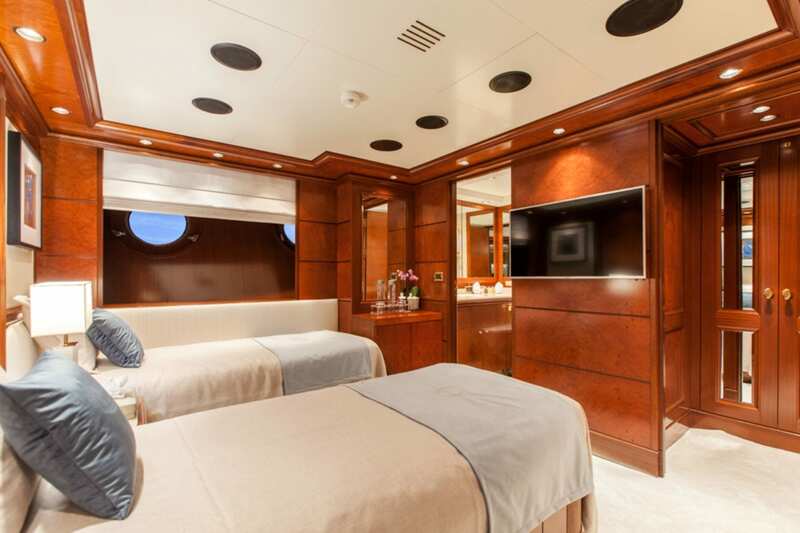 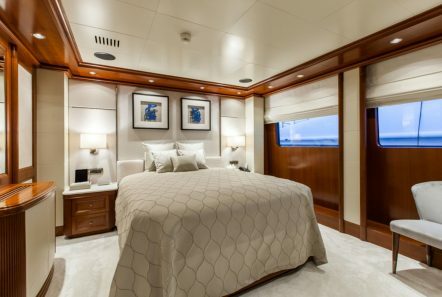 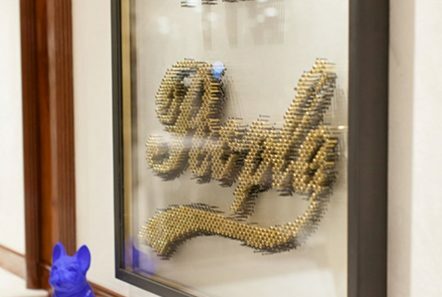 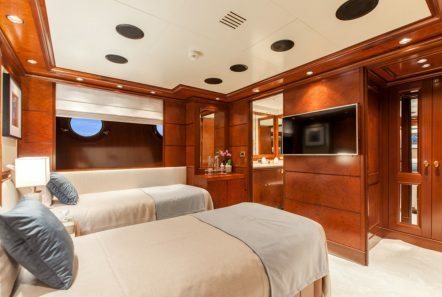 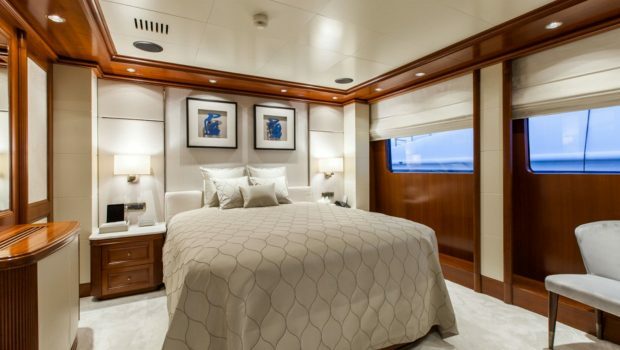 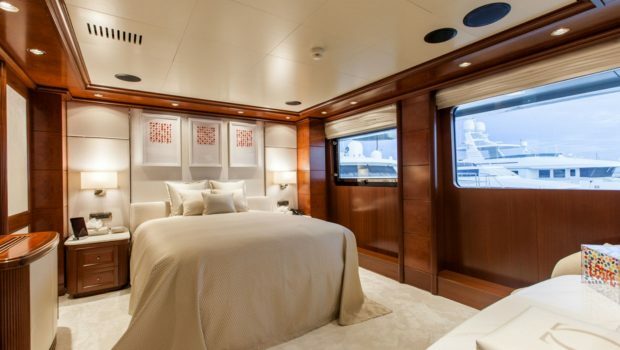 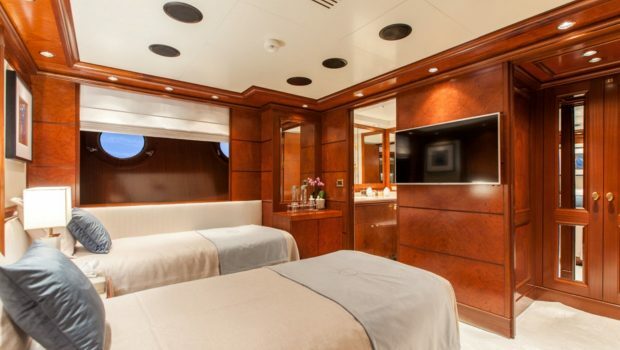 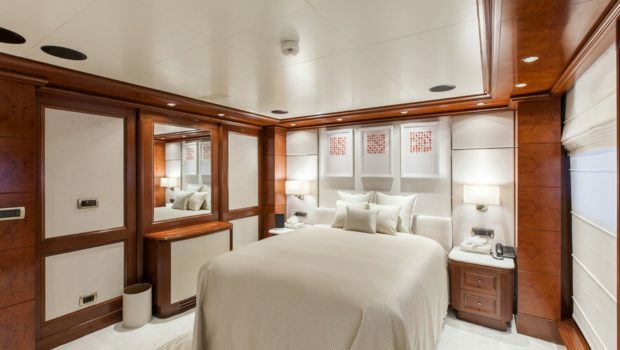 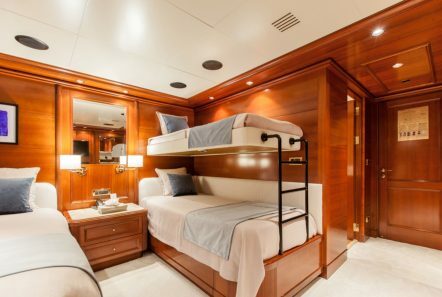 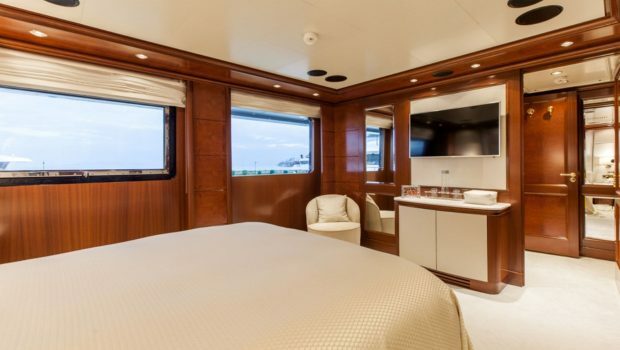 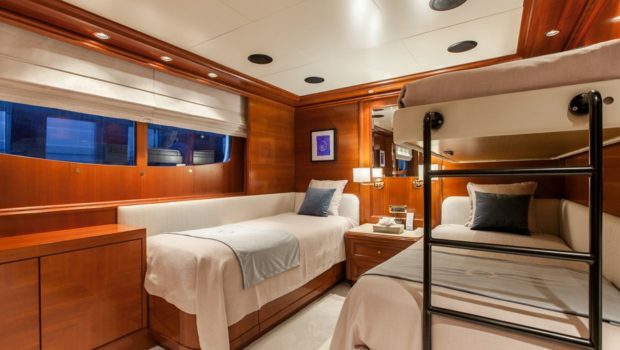 She has one unique master stateroom located on the upper deck with a king-sized bed, 42 inch plasma TV with full surround sound. 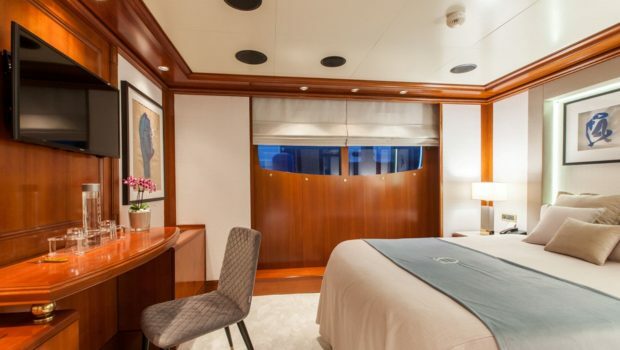 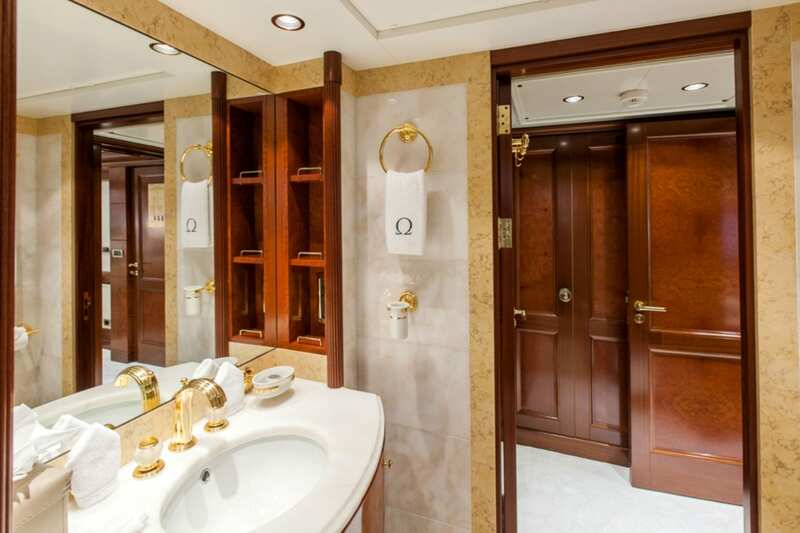 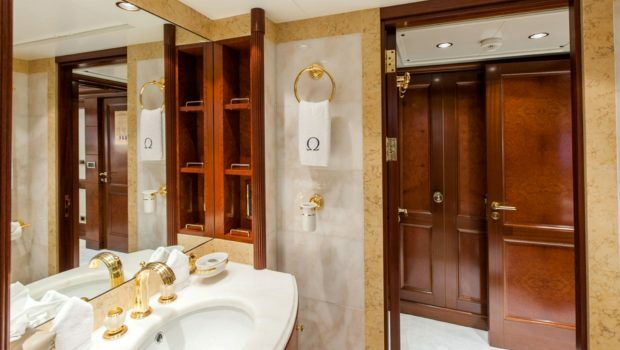 This stateroom has an office corner, library, walk-in closet and full panoramic view. 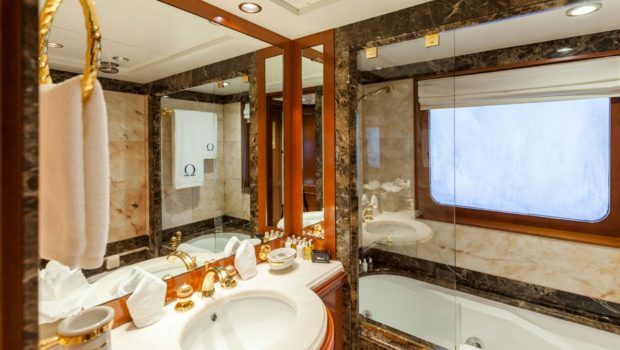 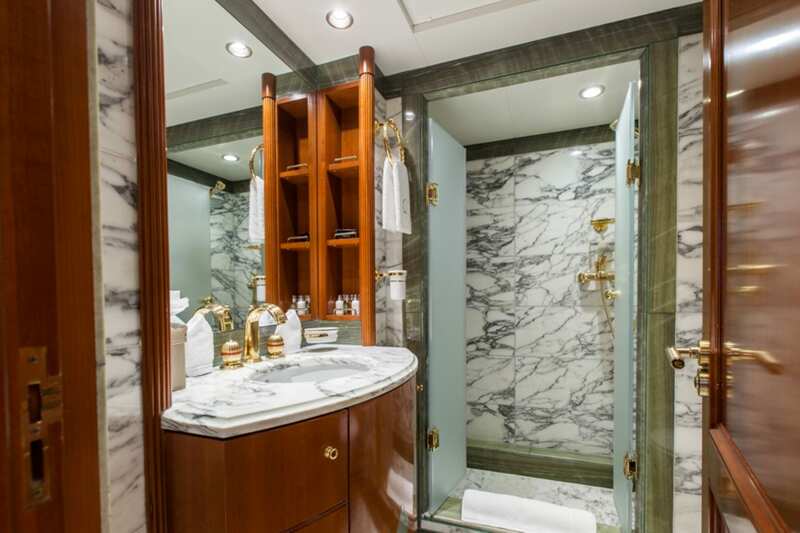 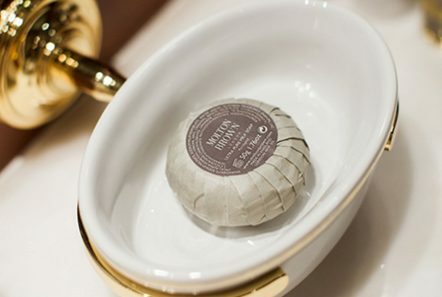 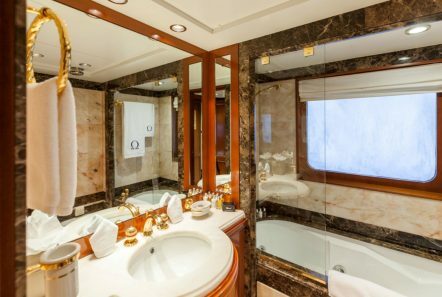 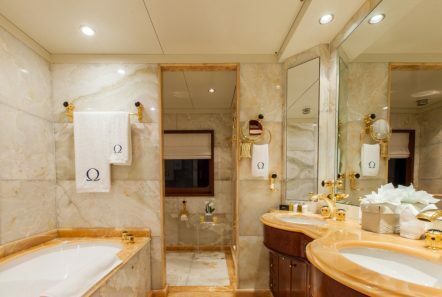 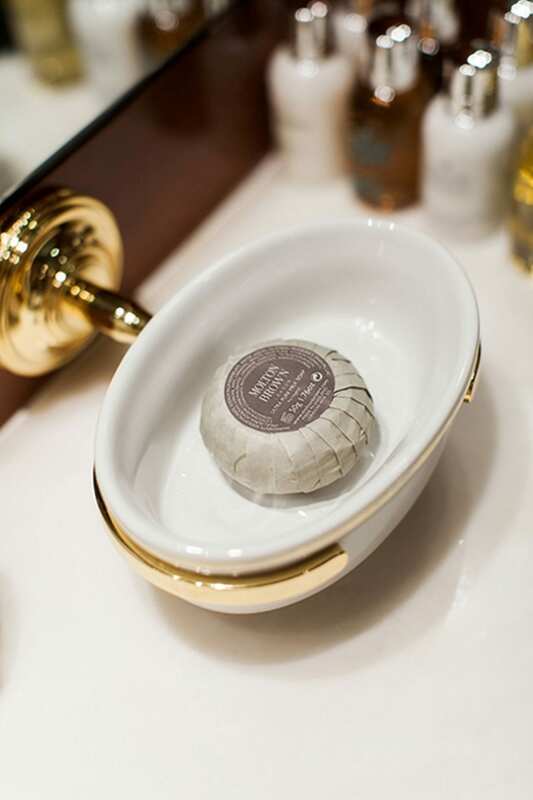 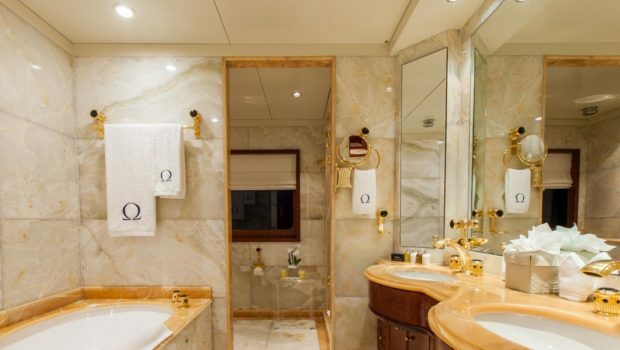 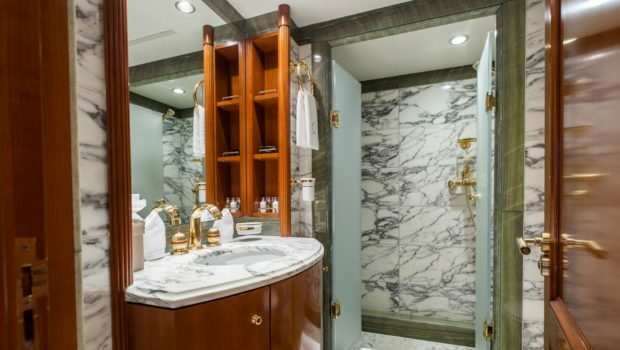 The master bath is decorated with yellow onyx marble and has a bathtub, Jacuzzi and two sinks. 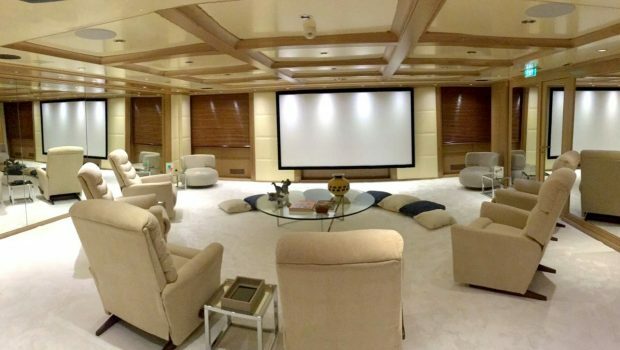 The remaining cabins all have plasma monitors and theater systems. 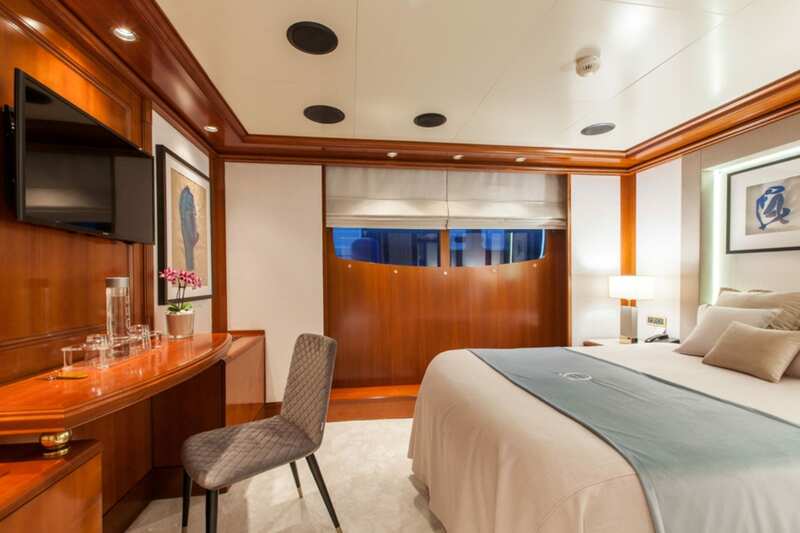 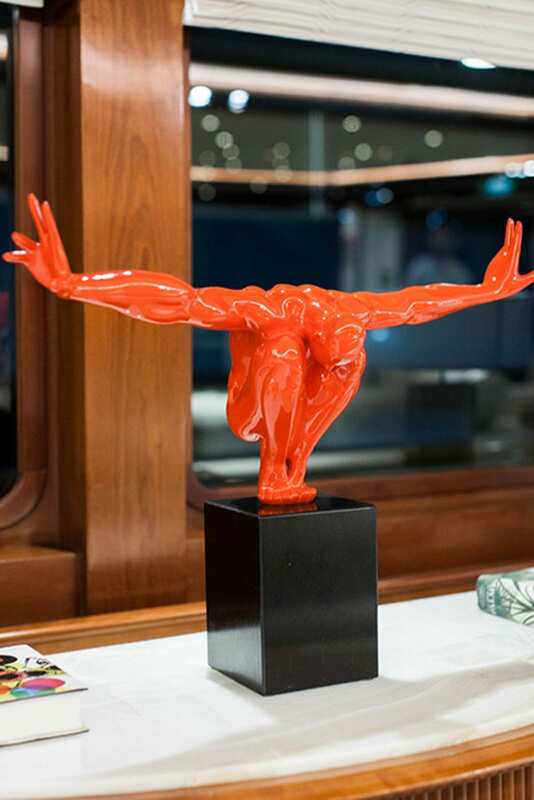 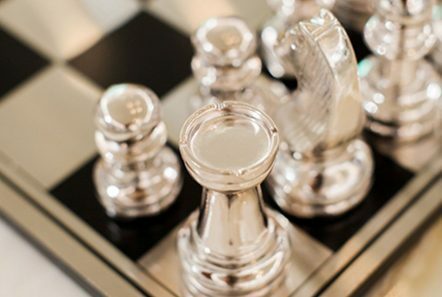 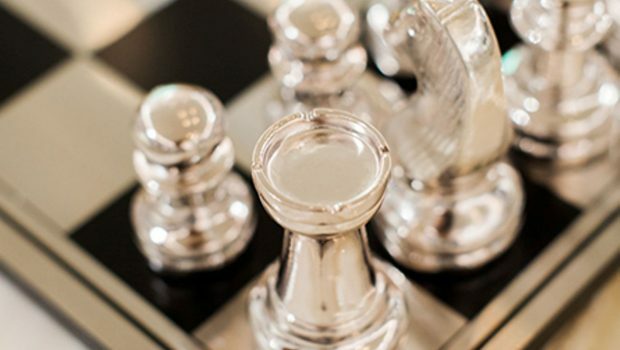 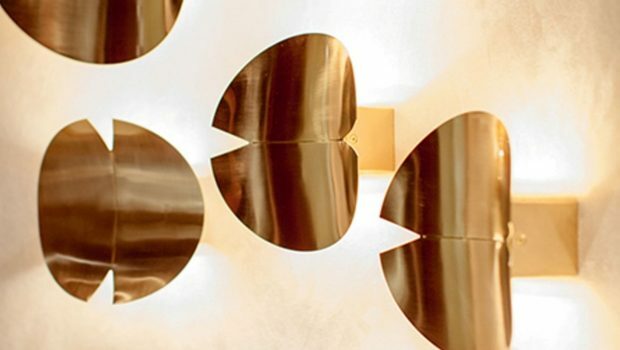 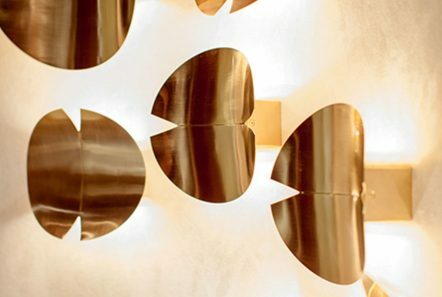 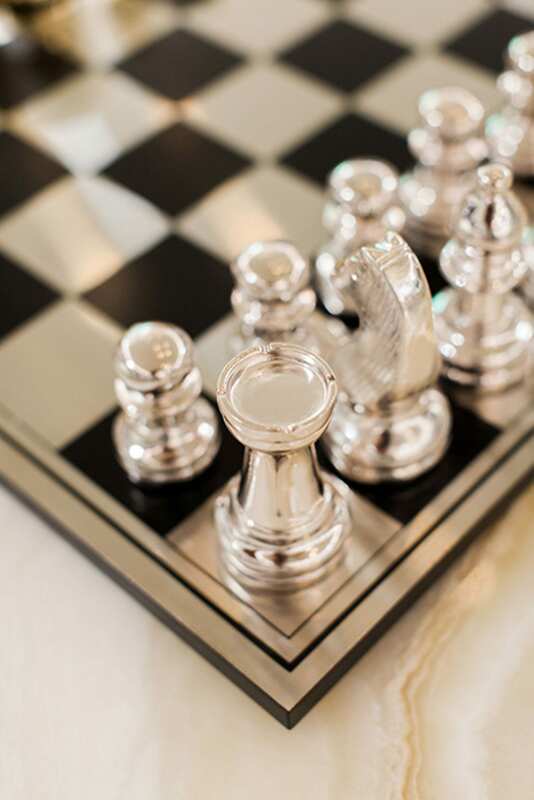 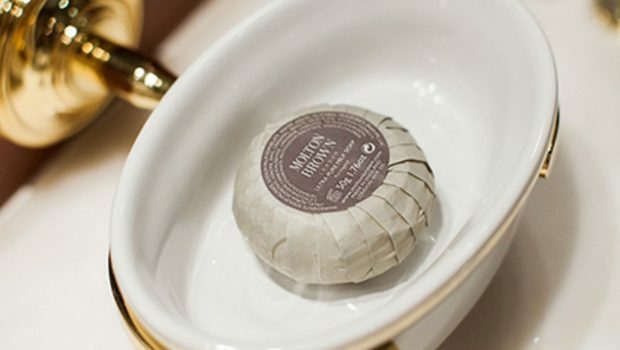 There are five VIP staterooms, five double staterooms and four twin-bedded staterooms. 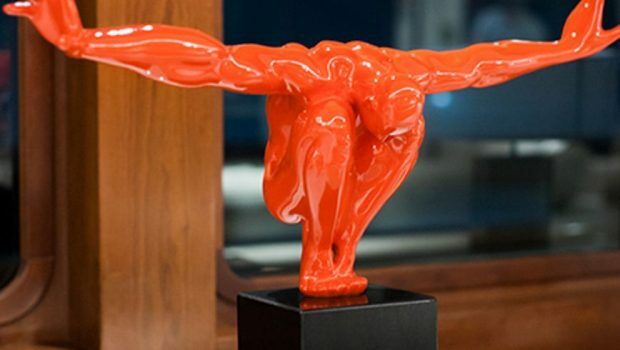 Relax in the massage parlor, rejuvenate in the yoga studio, enjoy the indoor and outdoor Jacuzzi and workout in the gym. 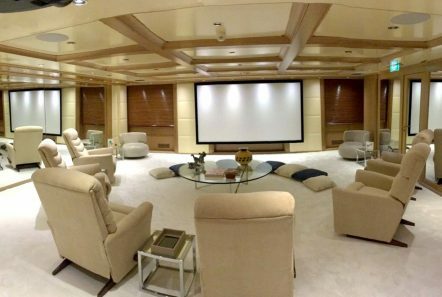 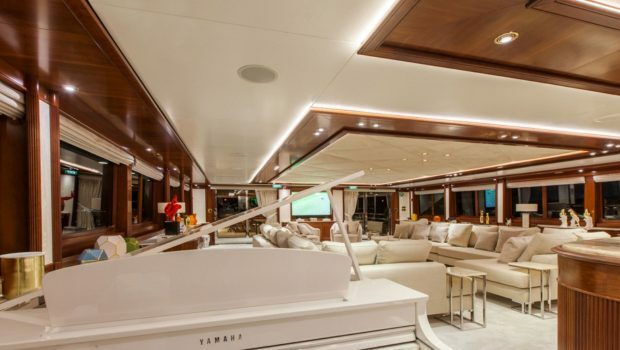 The main salon, located on the main deck is equipped with the most up-to-date audio visual equipment including a 50 inch plasma TV, full surround system, satellite TV, DVD and HiFi system. 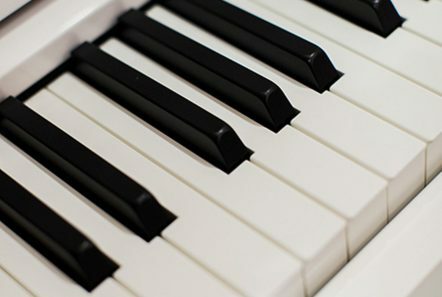 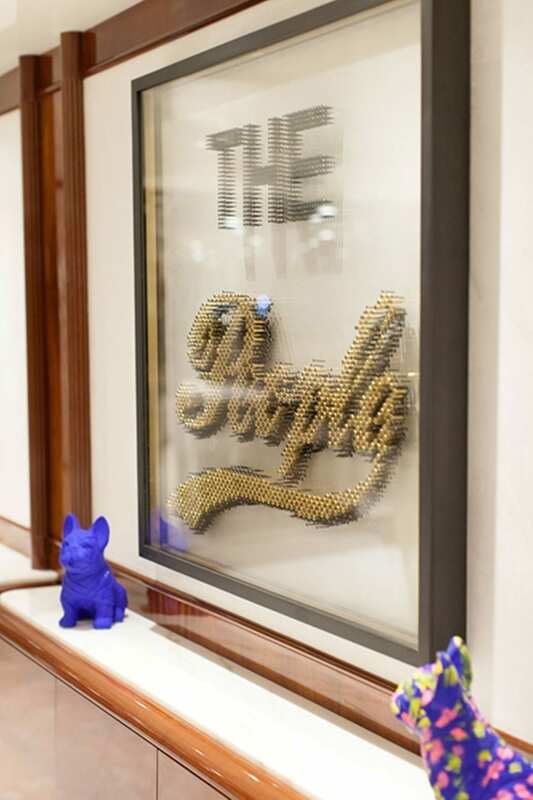 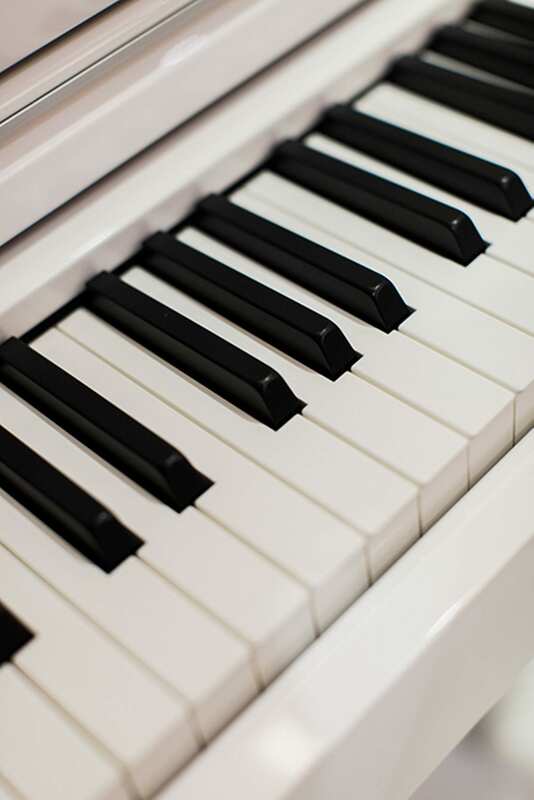 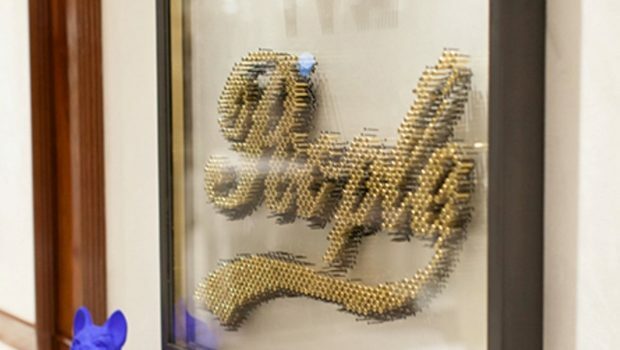 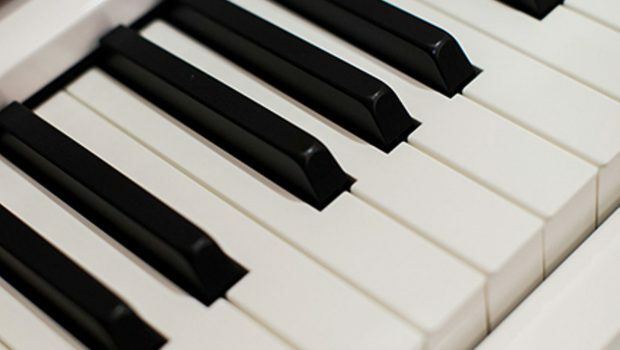 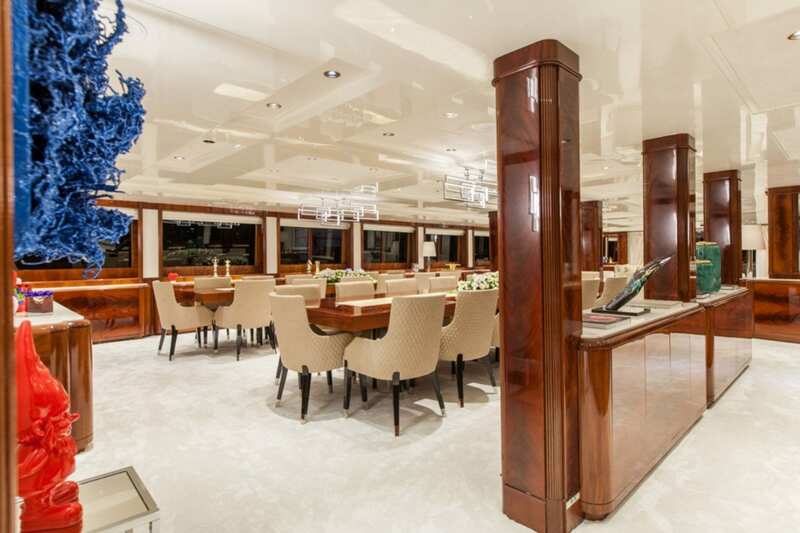 The piano bar is perfect for that quiet drink among friends. 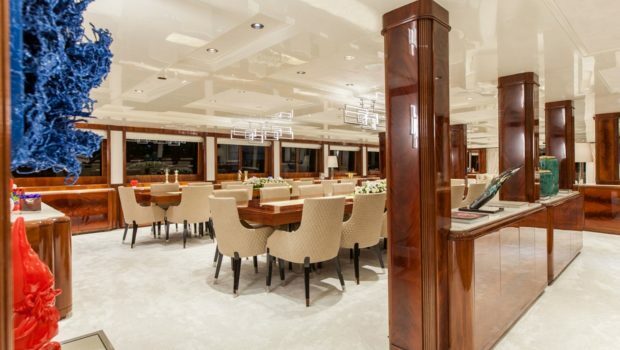 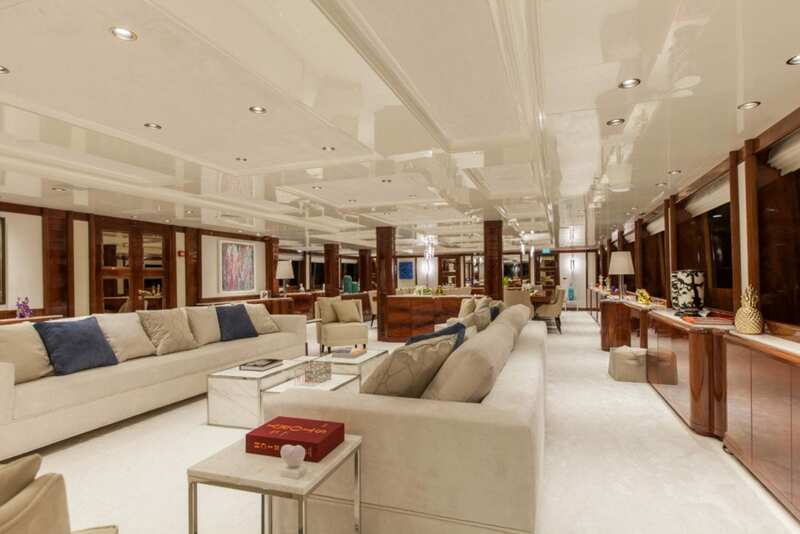 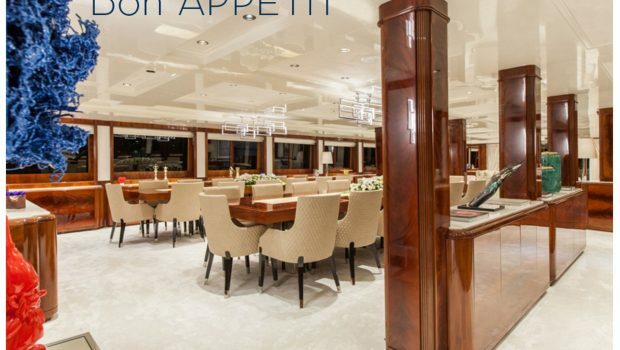 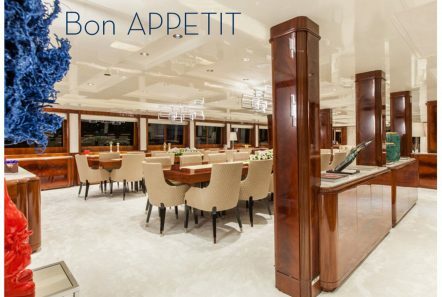 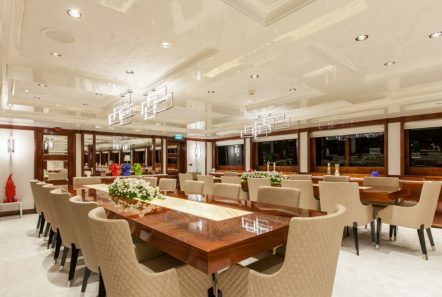 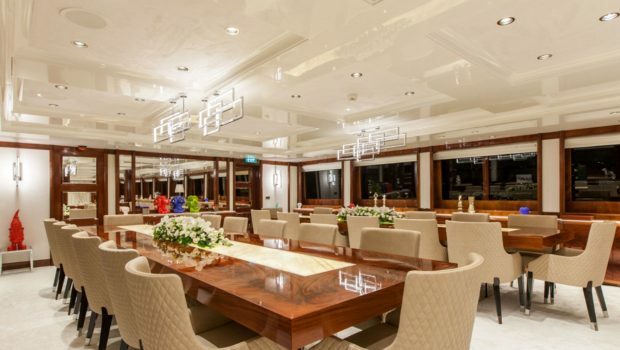 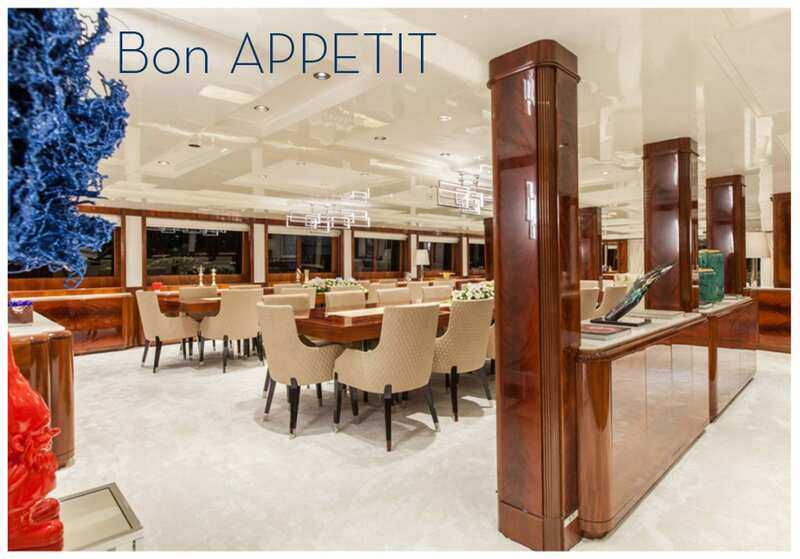 Adjacent to the main salon is a formal dining room, which accommodates all passengers dining in pure elegance. 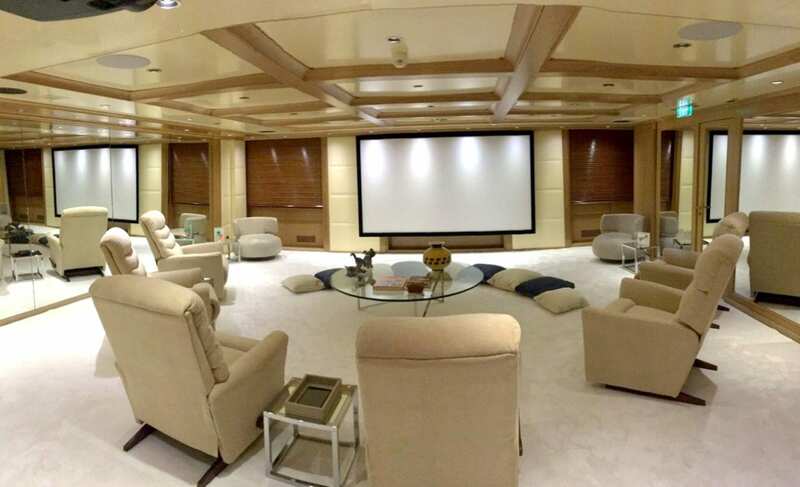 There is a cinema with a 65 inch screen seating 8 guests in La-Z-Boy armchairs for the guests’ enjoyment. 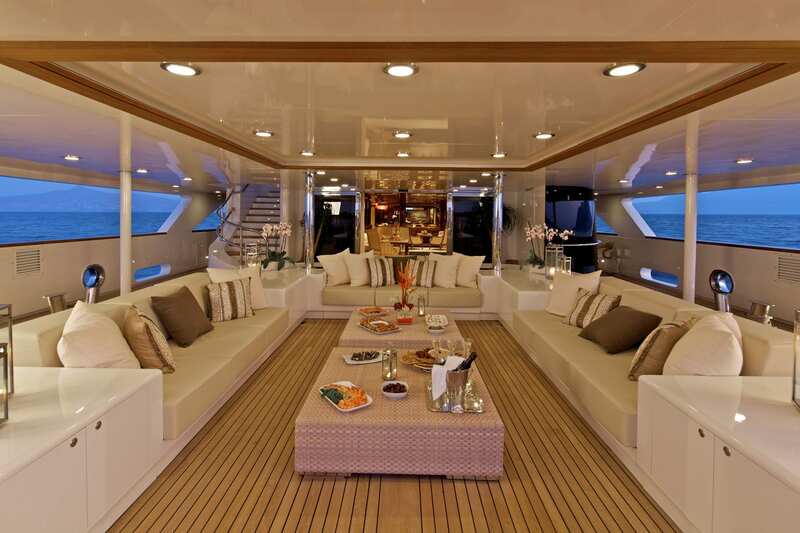 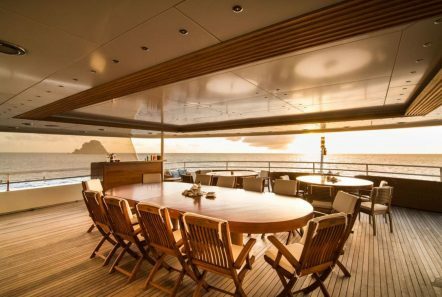 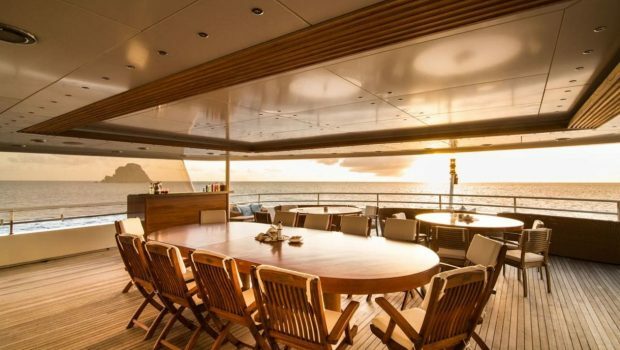 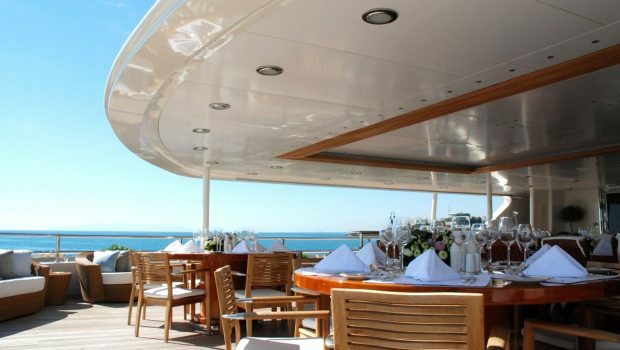 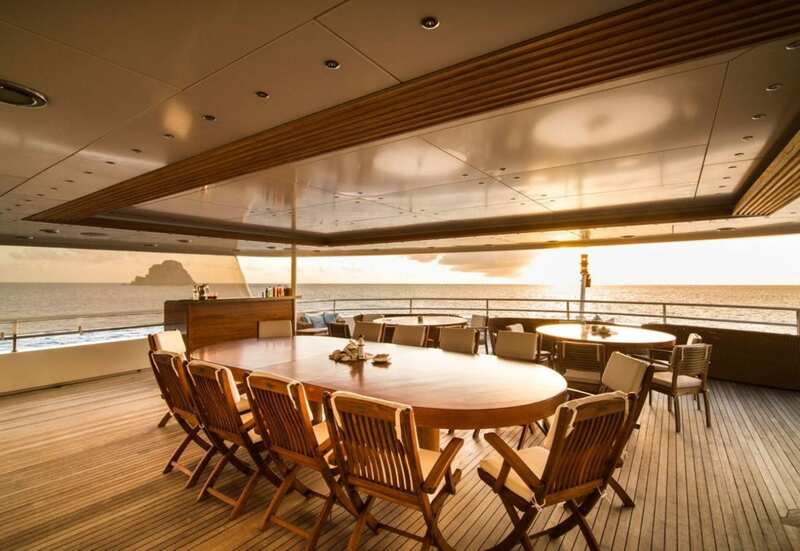 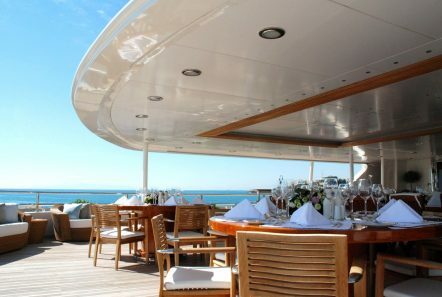 Dining can be had on the Upper Deck as well as in the formal dining room. 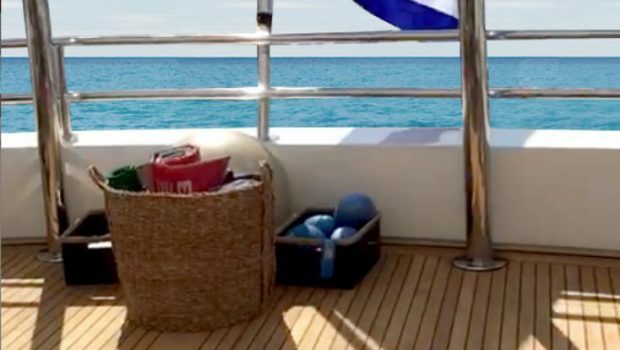 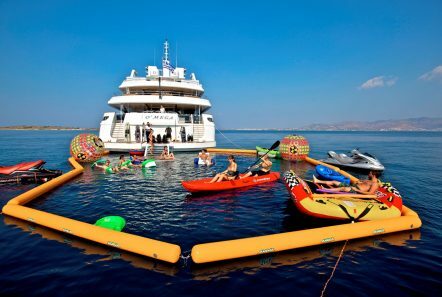 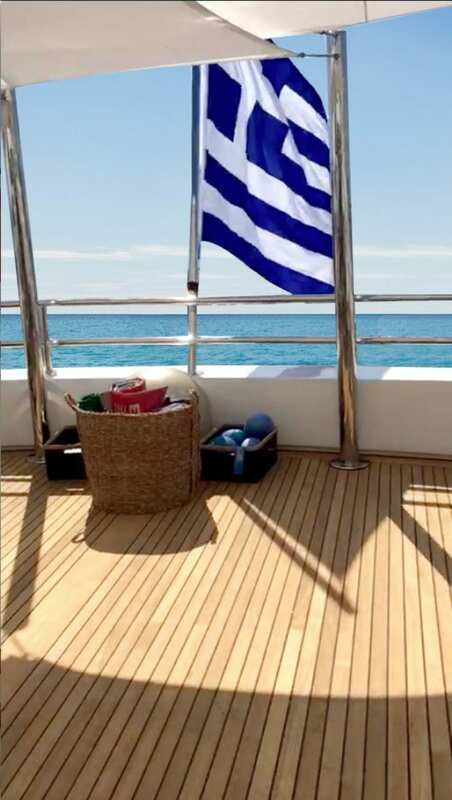 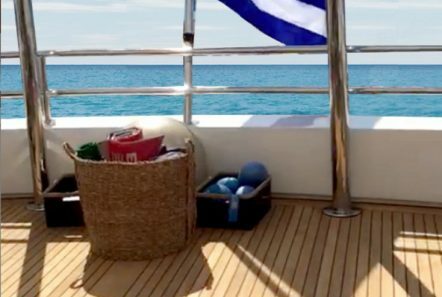 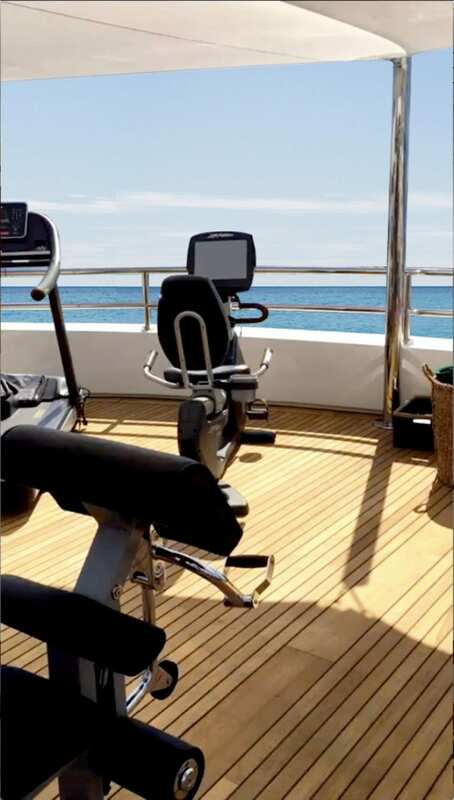 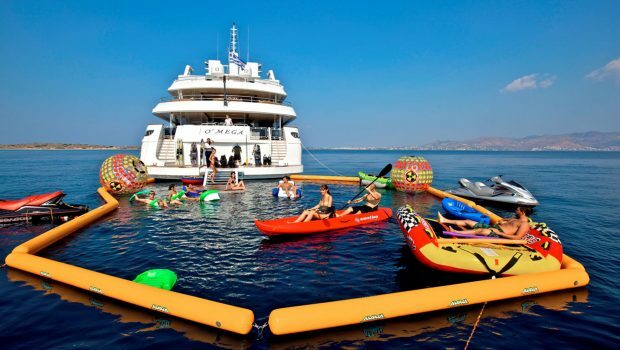 She is equipped with all the sea toys such as a jet ski, a waverunner, wakeboard, kayaks, water skiing, nuclear globes, scuba gear and snorkeling equipment.